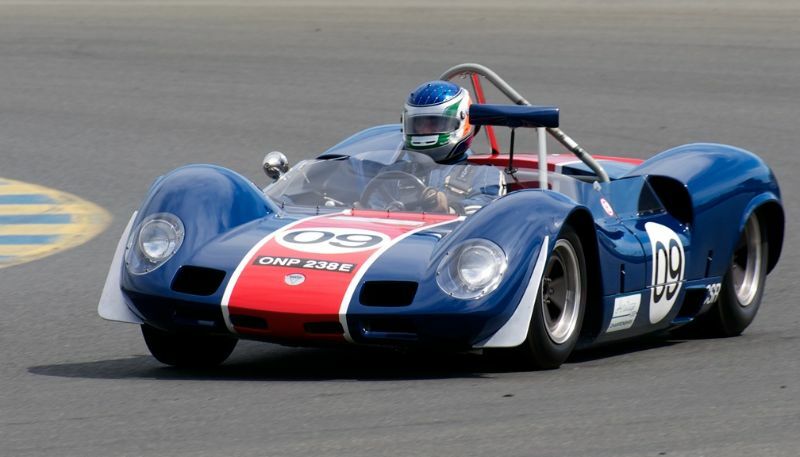 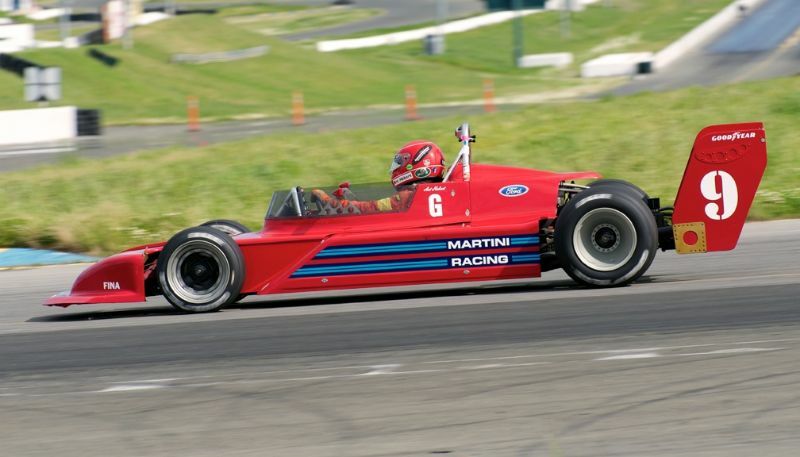 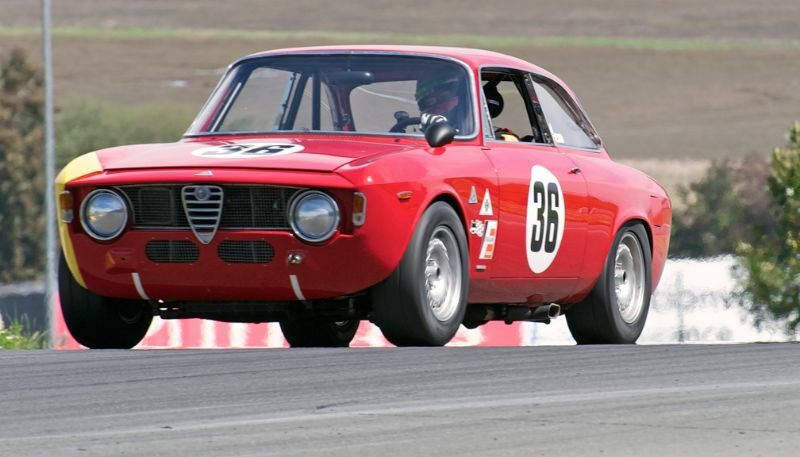 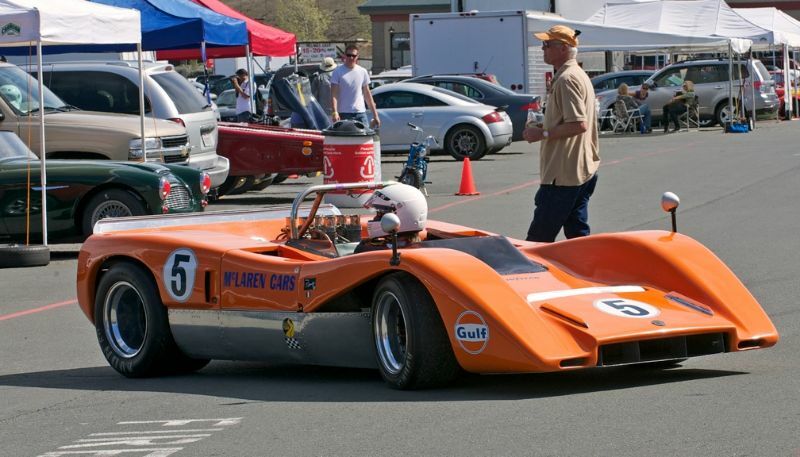 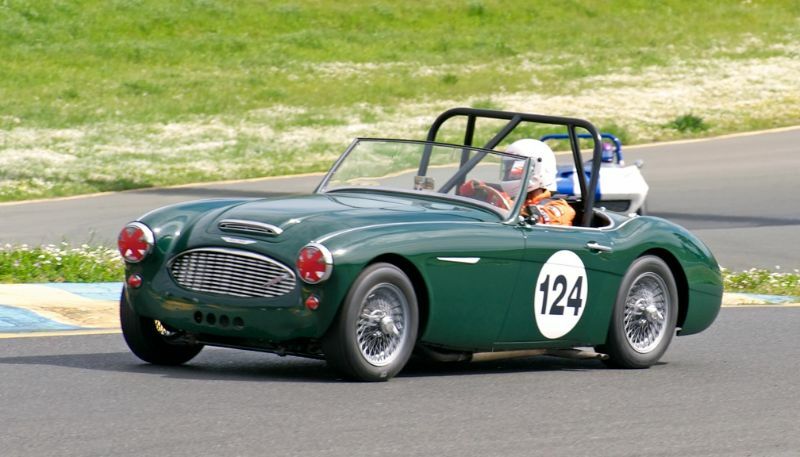 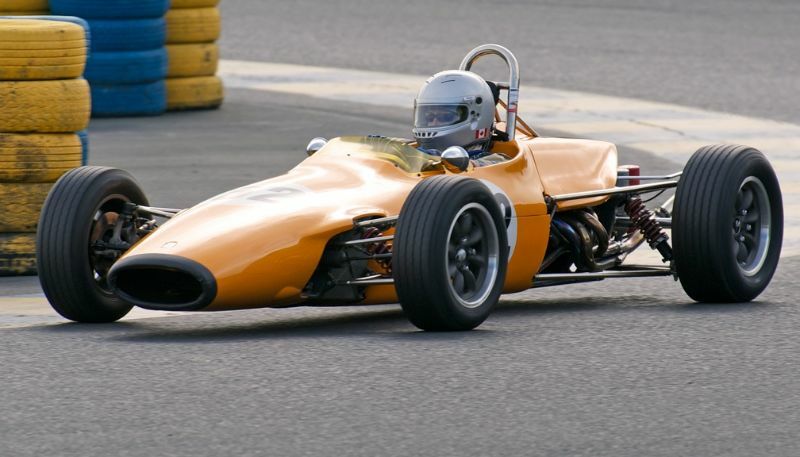 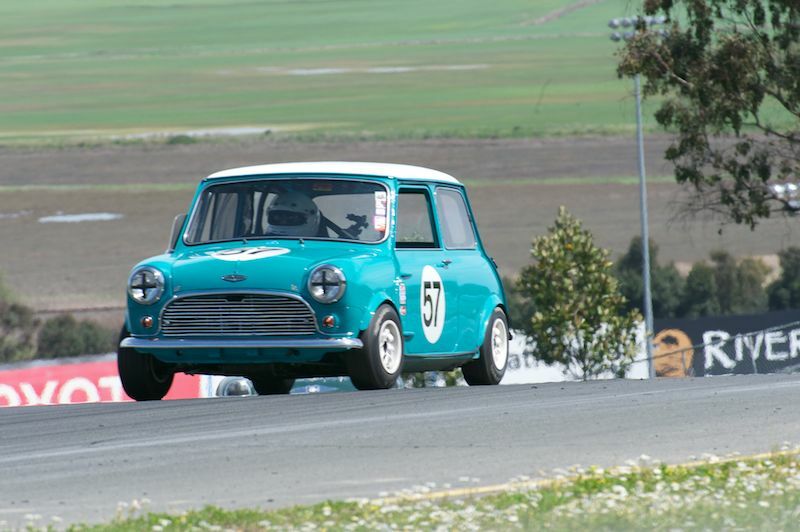 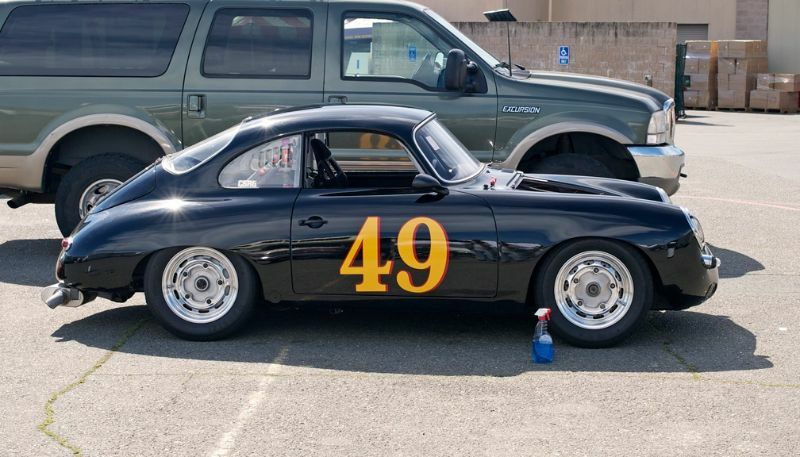 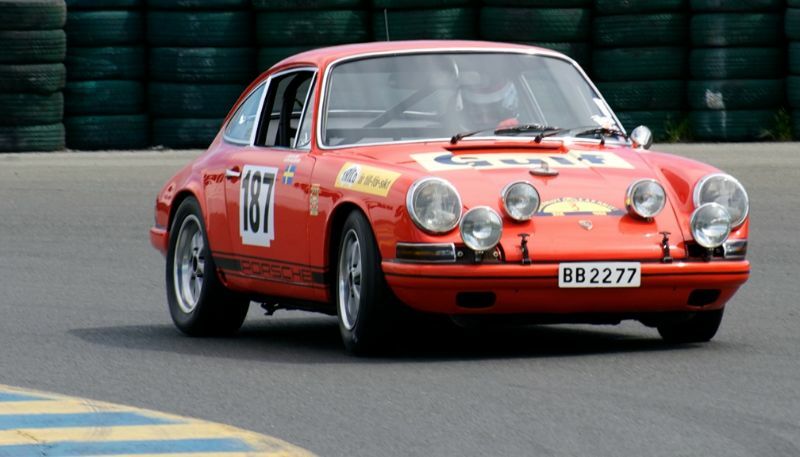 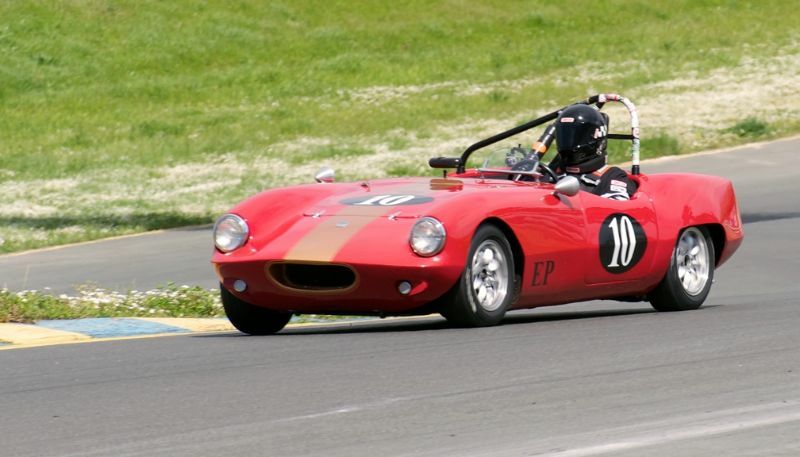 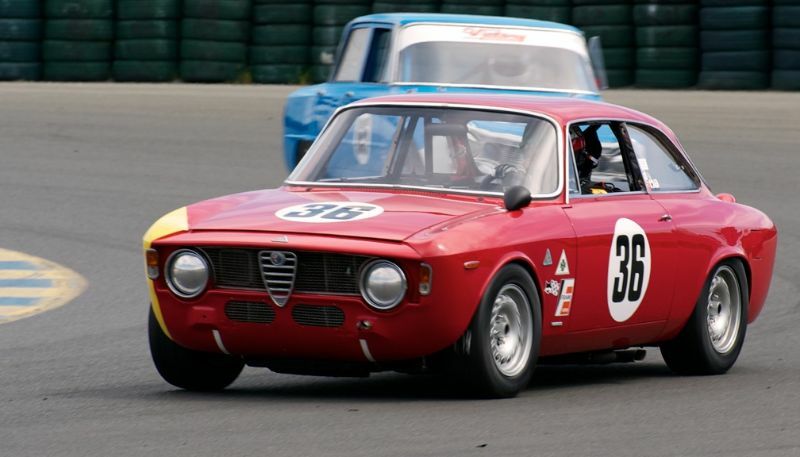 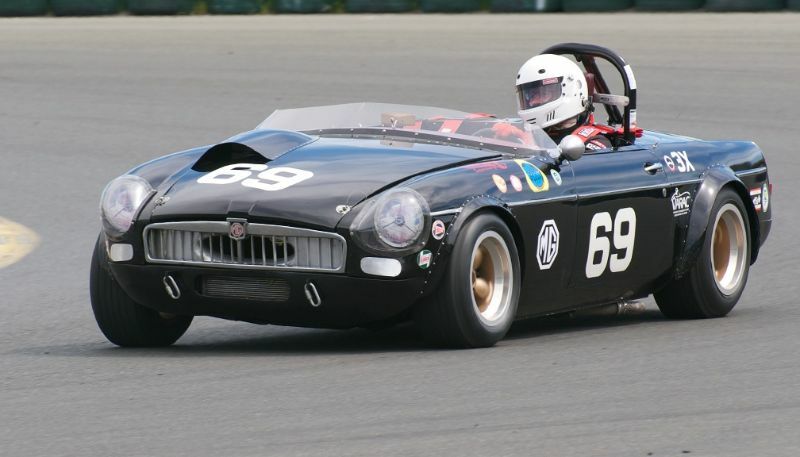 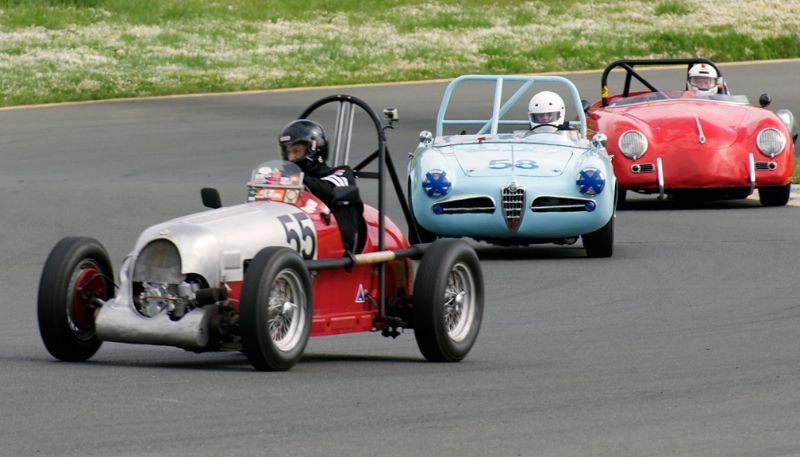 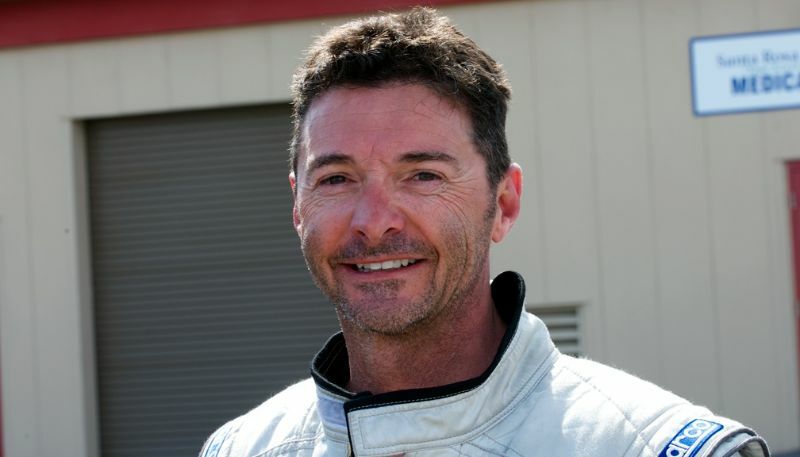 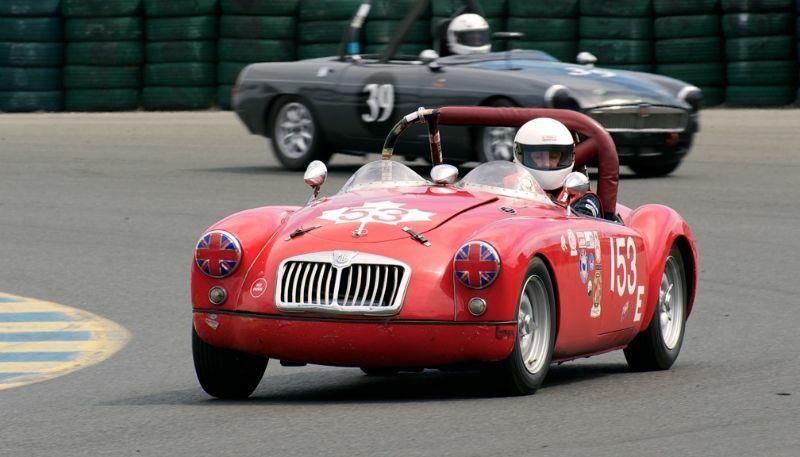 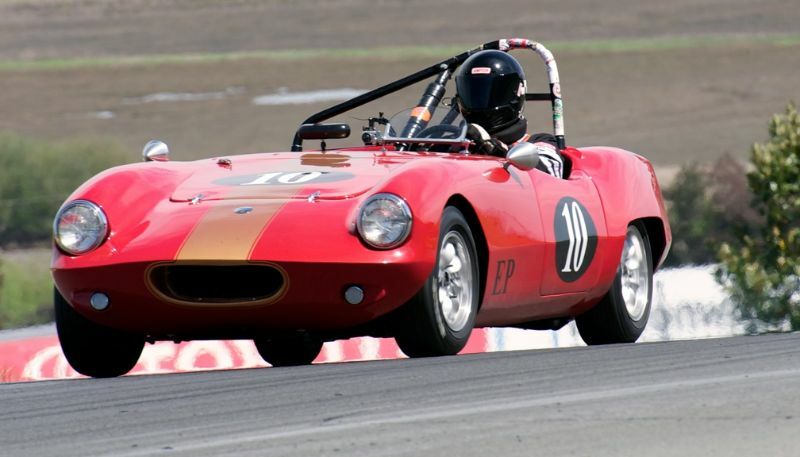 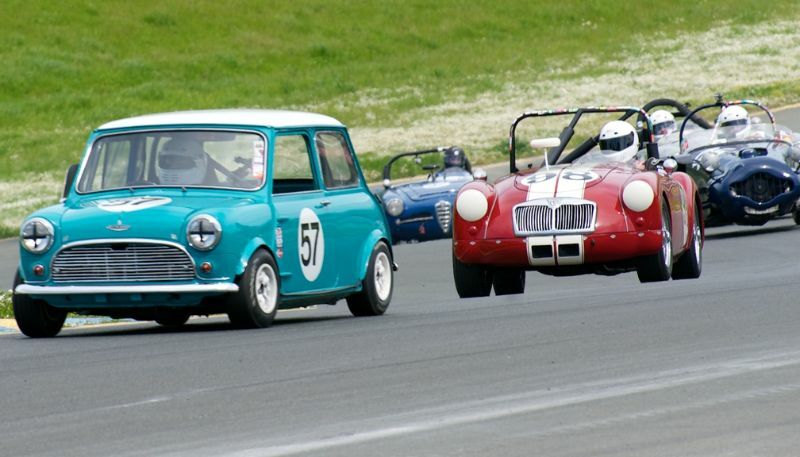 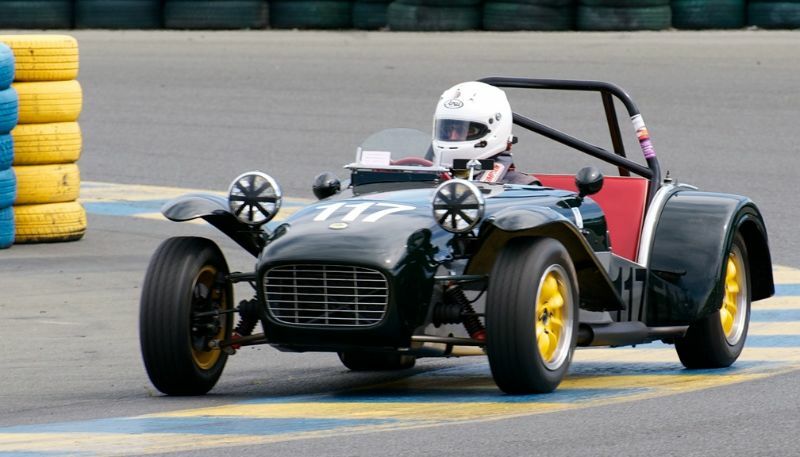 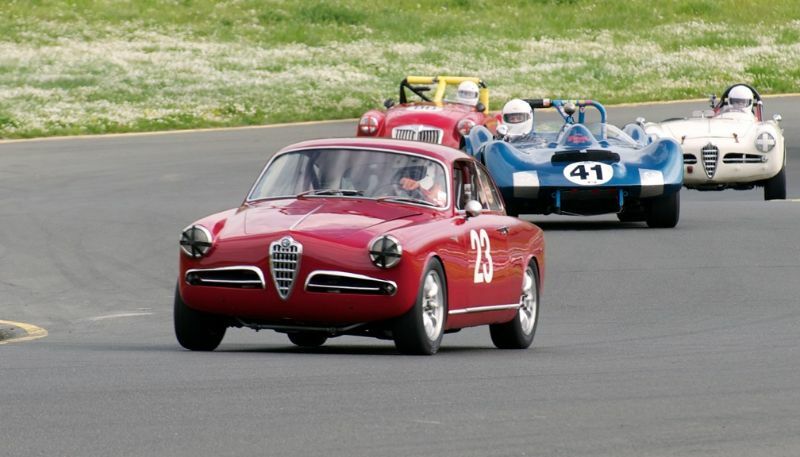 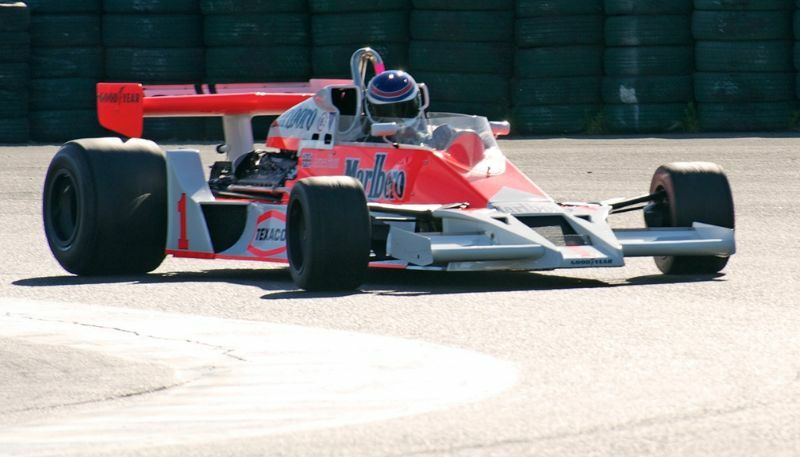 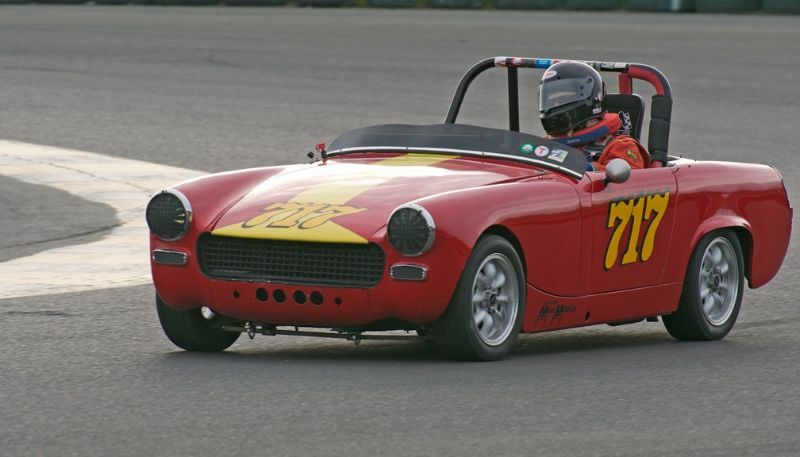 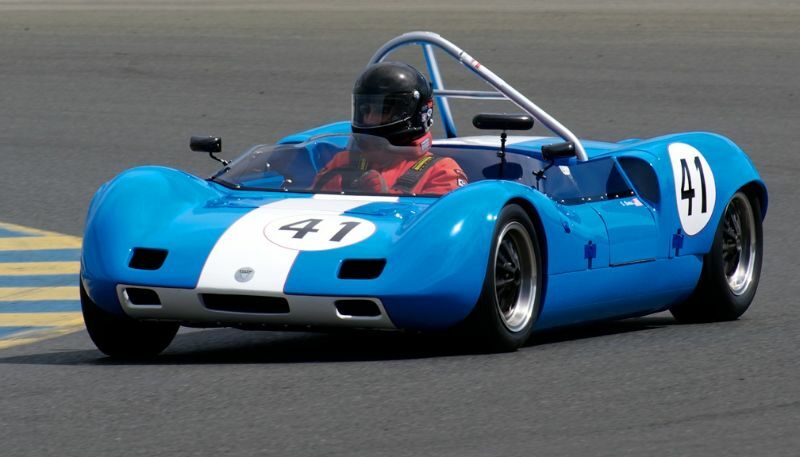 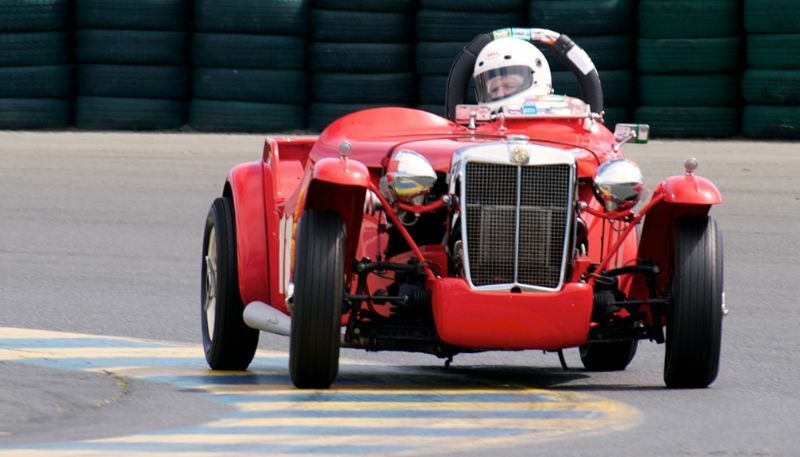 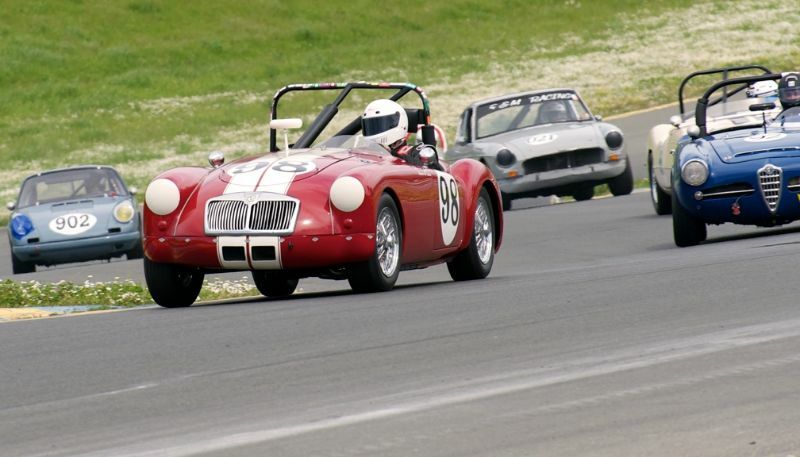 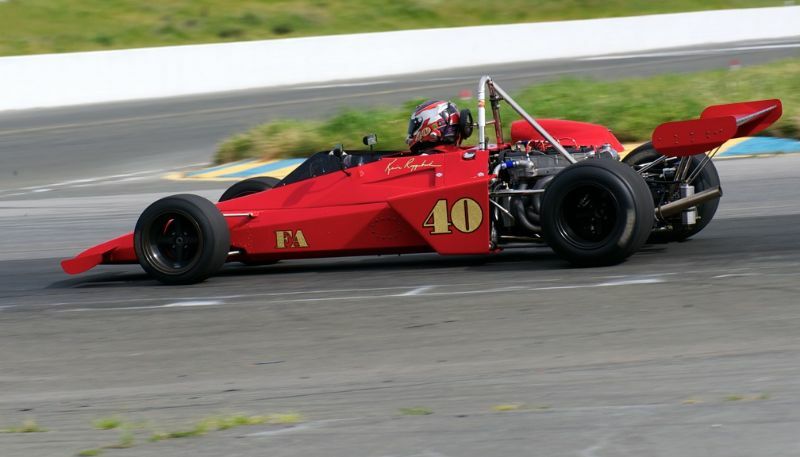 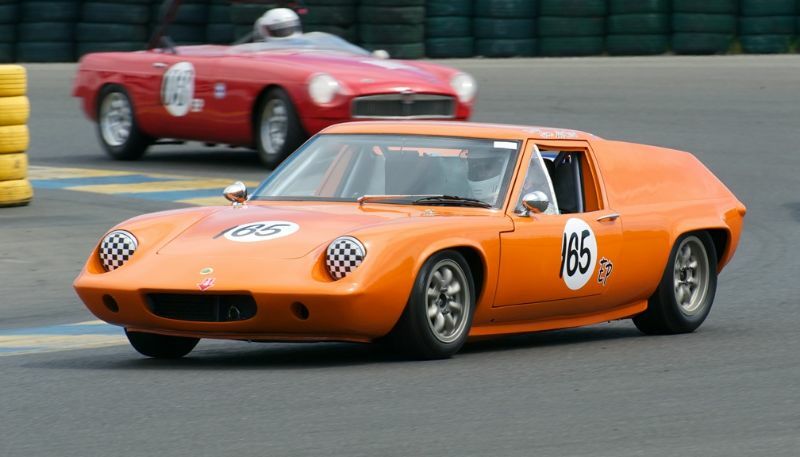 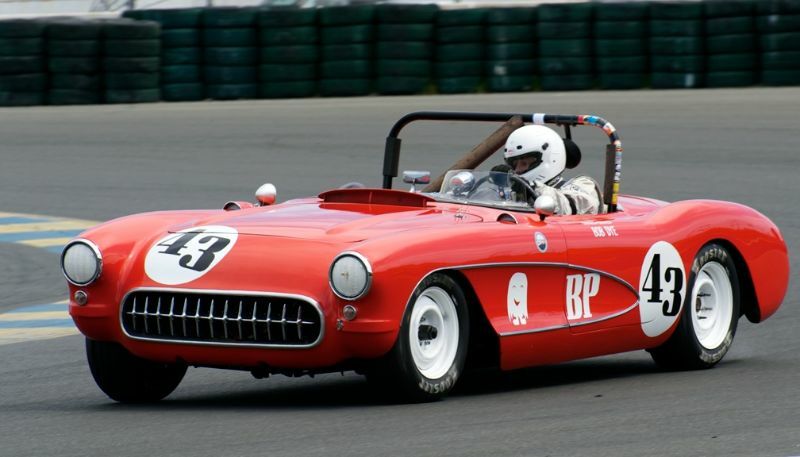 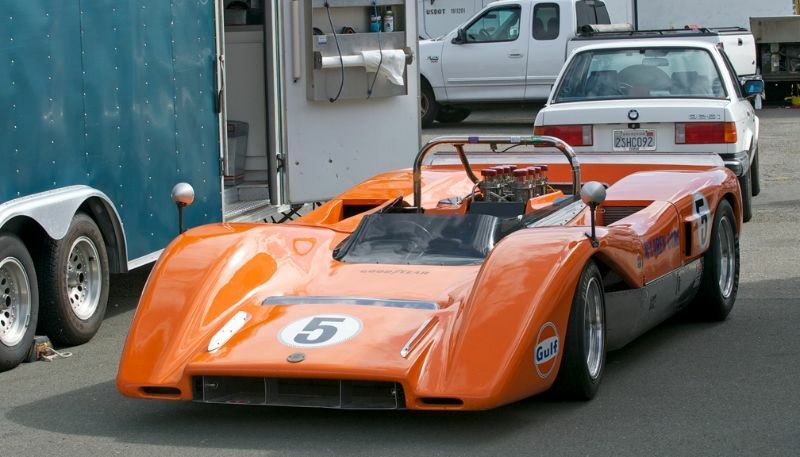 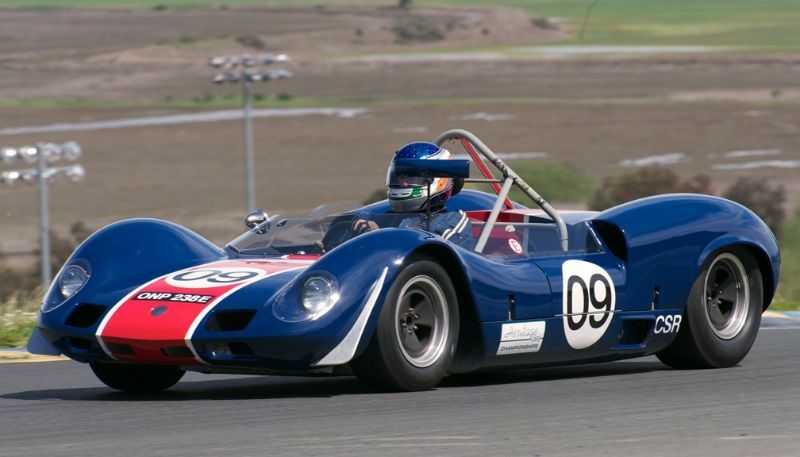 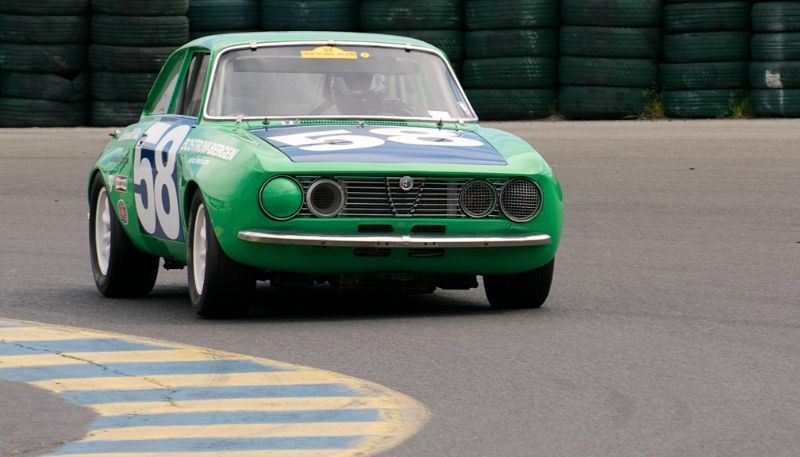 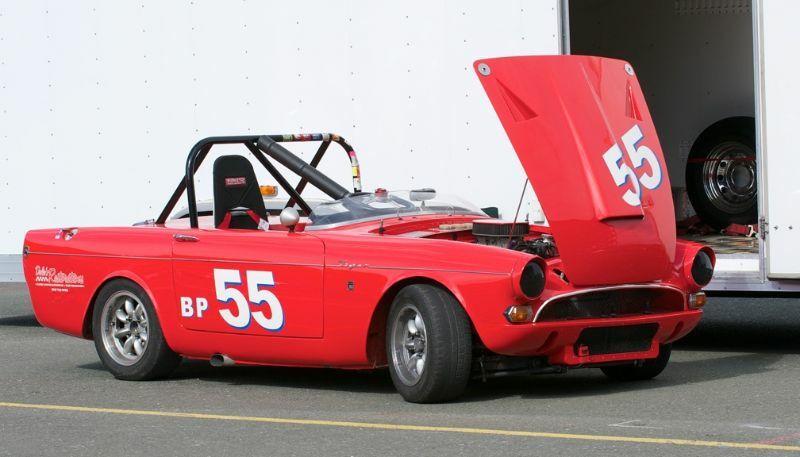 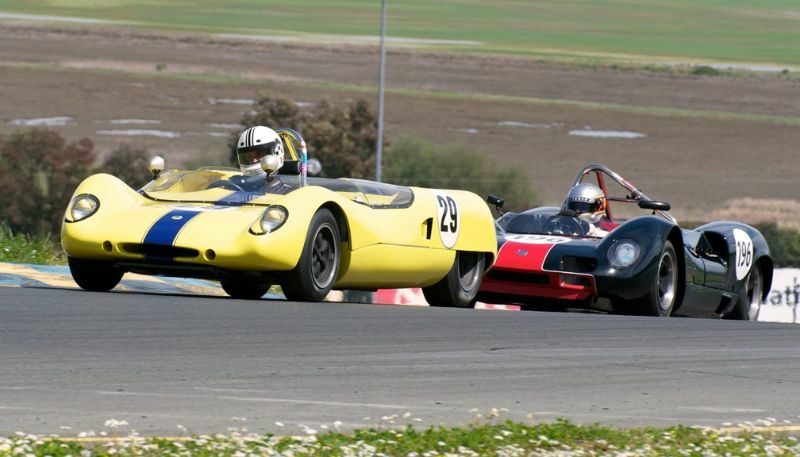 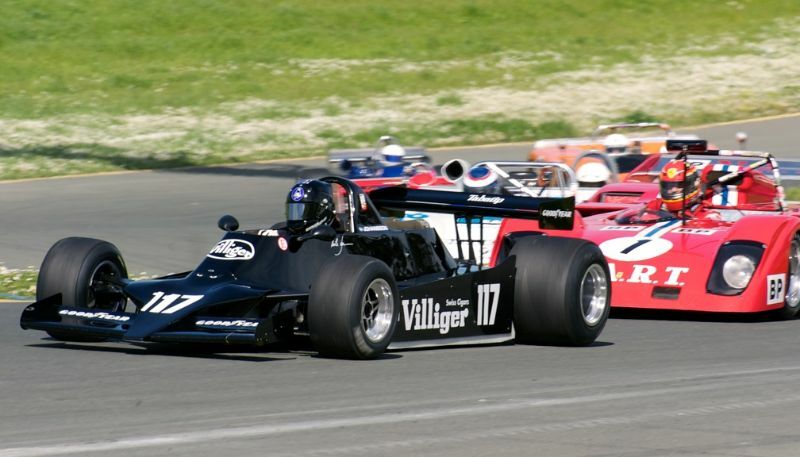 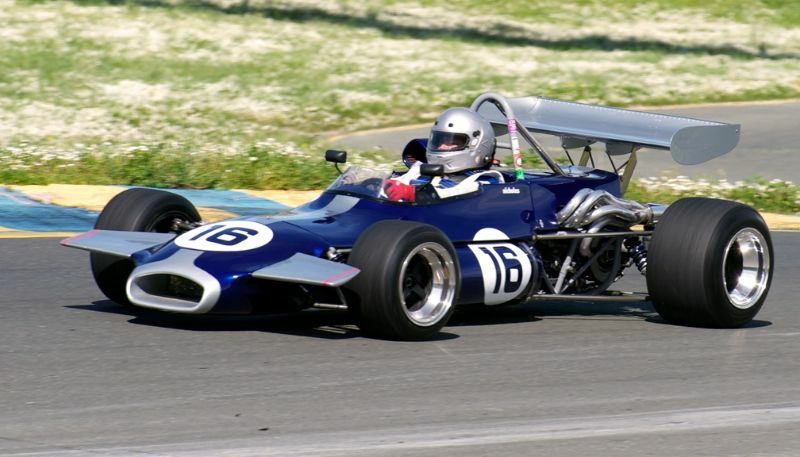 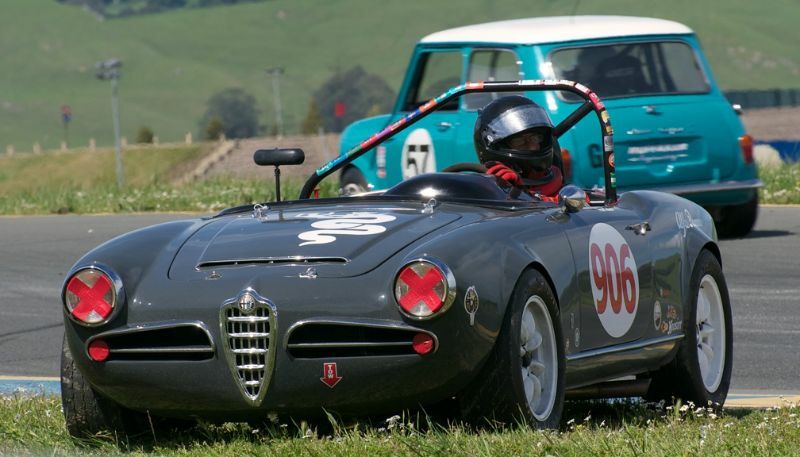 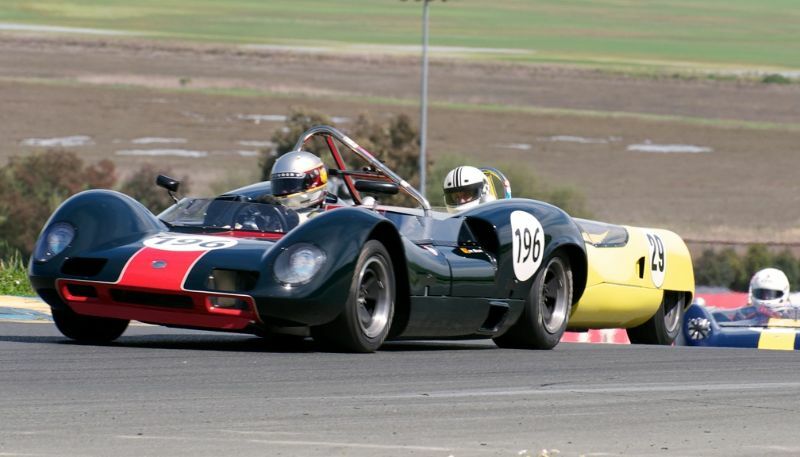 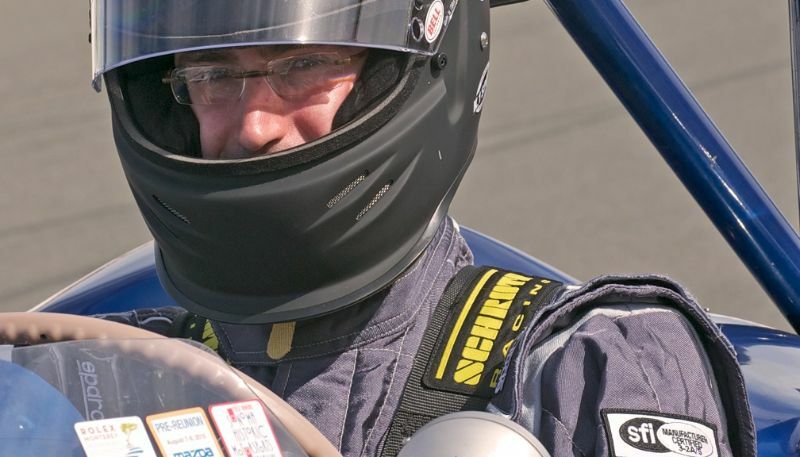 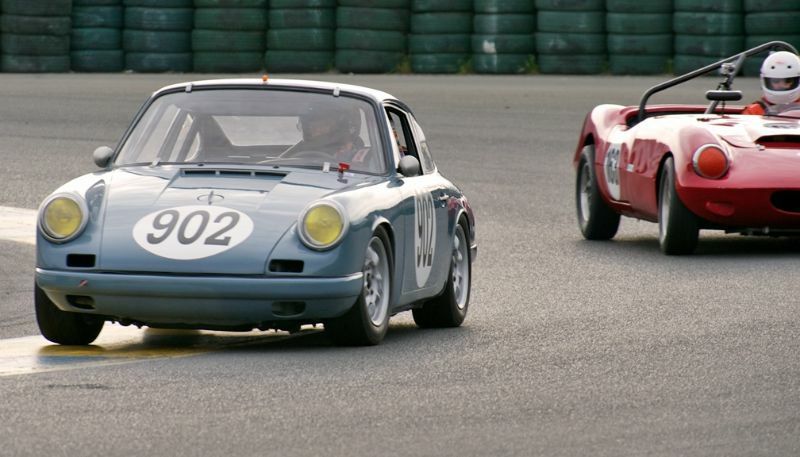 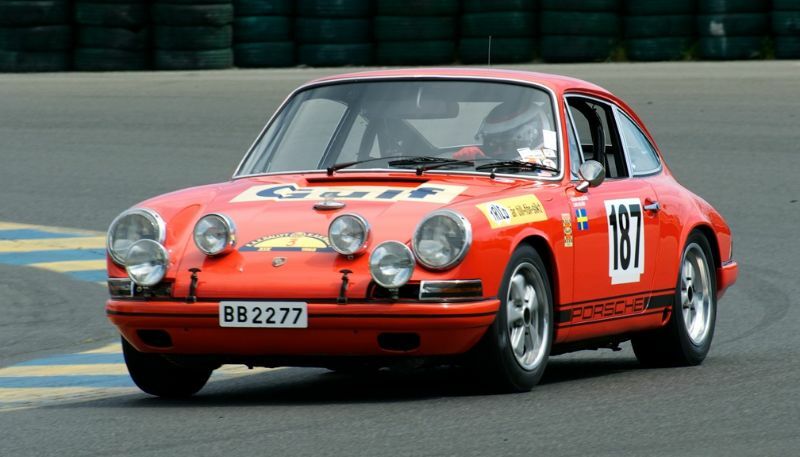 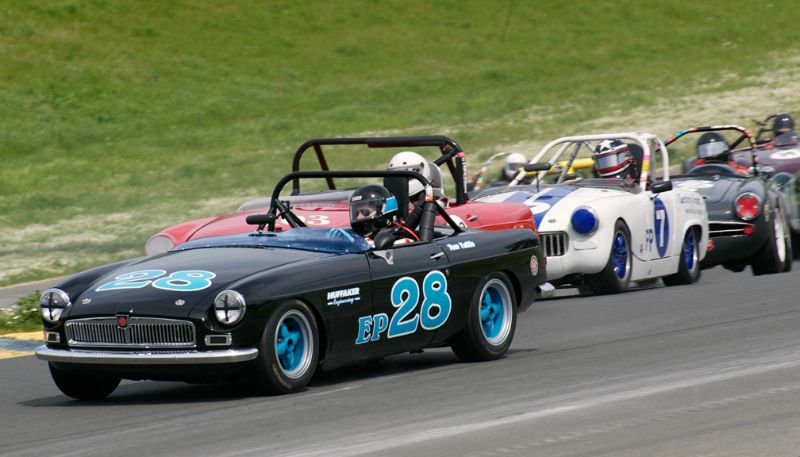 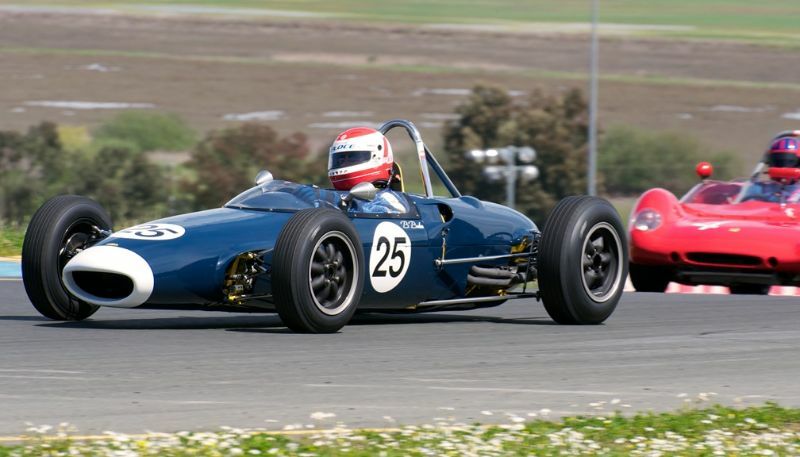 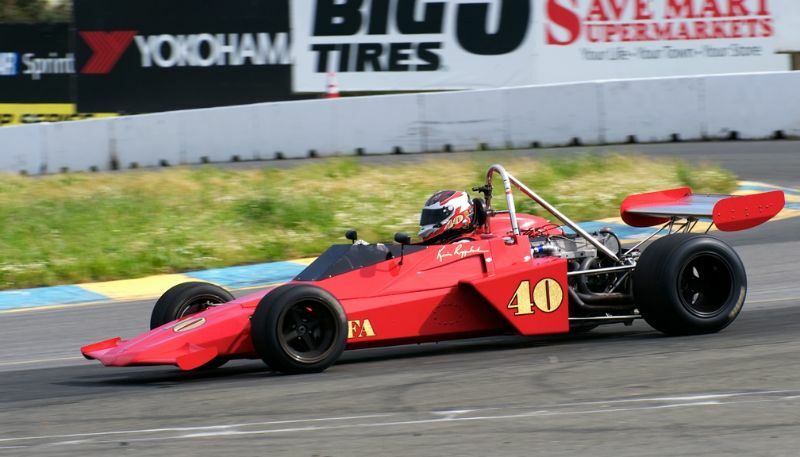 The Classic Sports Racing Group (CSRG) kicked off its 44th season at Infineon Raceway Sears Point on April 2-3, 2011. 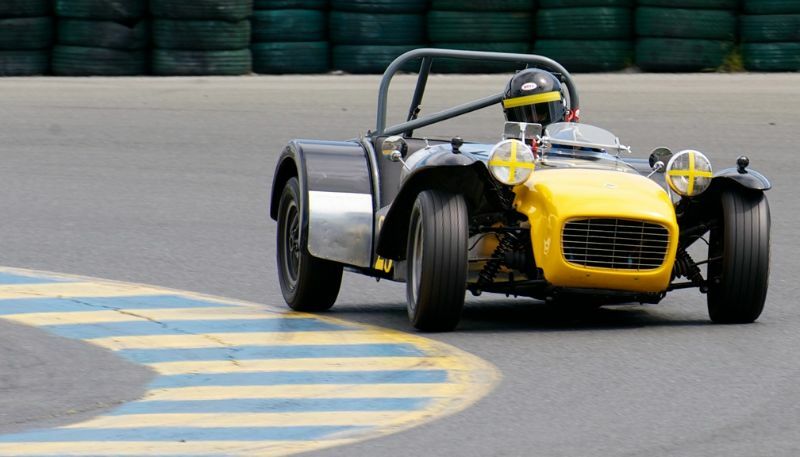 The event featured testing on Friday, with vintage racing on the 12-turn, 2.52-mile road course on Saturday and Sunday. 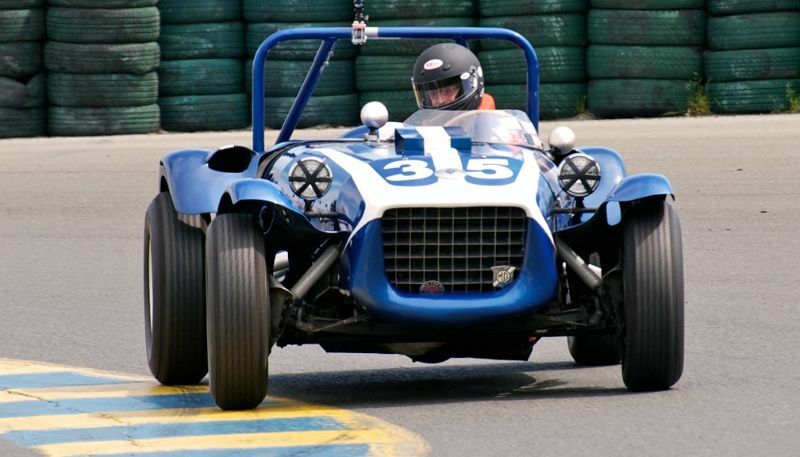 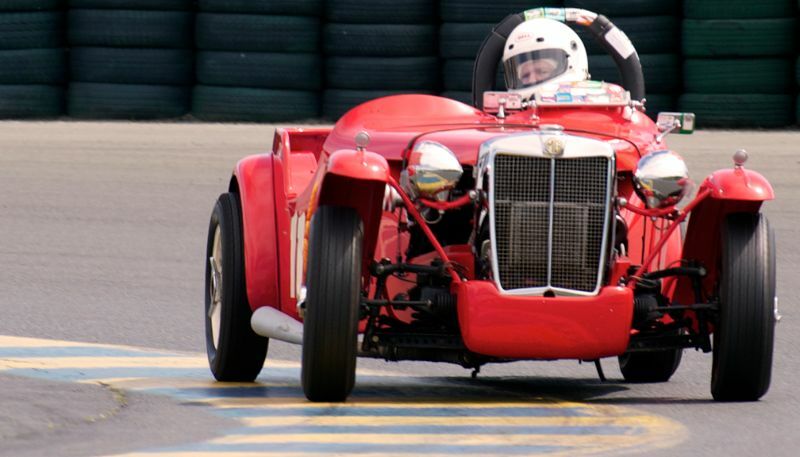 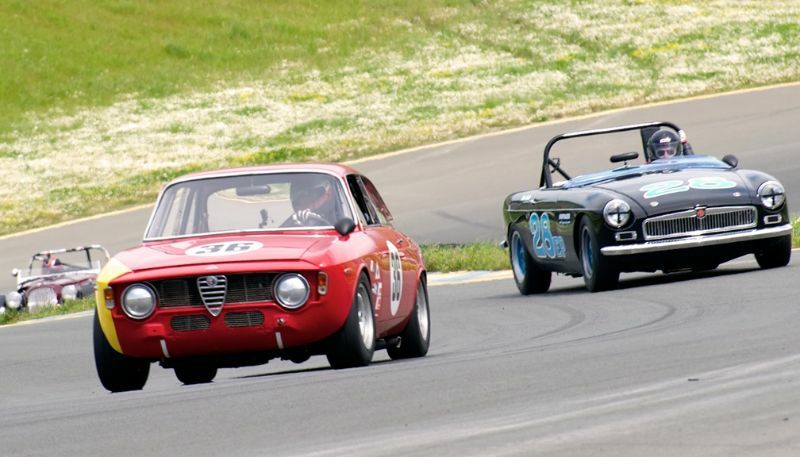 A full field of vintage race cars graced the road course over the weekend, including Sports Racing, Formula and Production Sports Cars from the 1930s through the early 1970s. 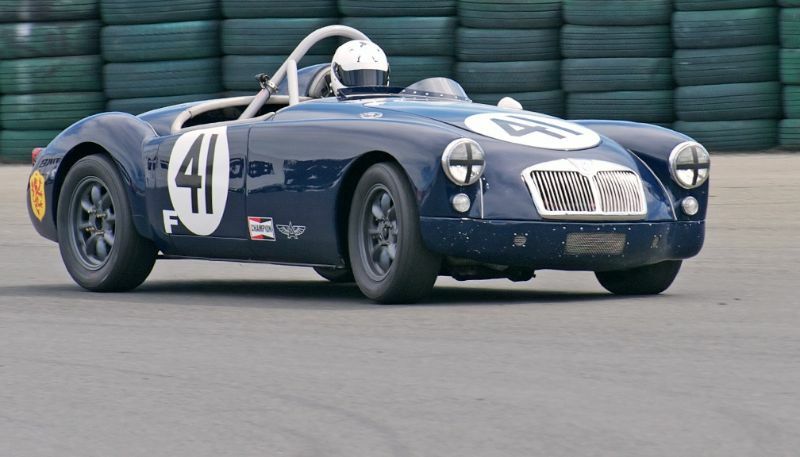 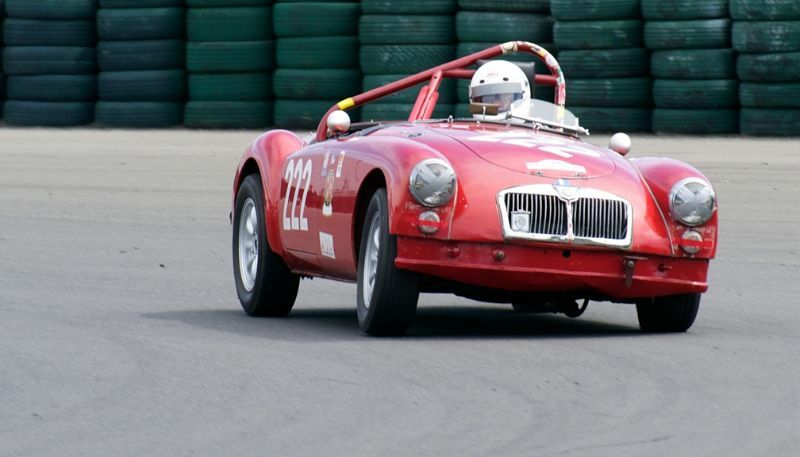 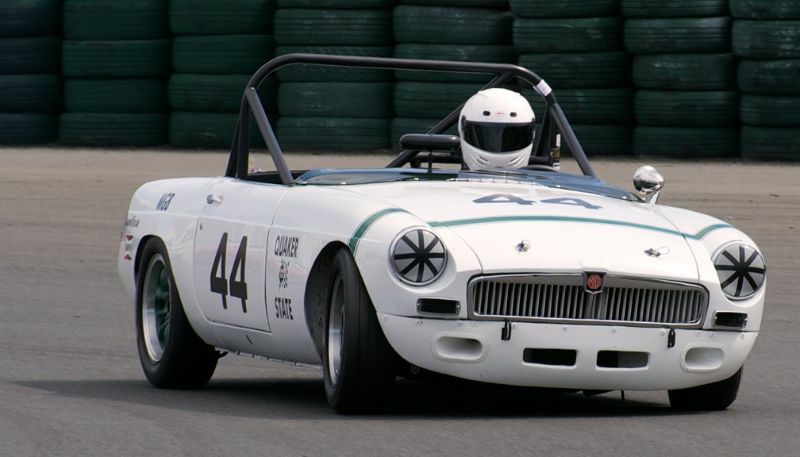 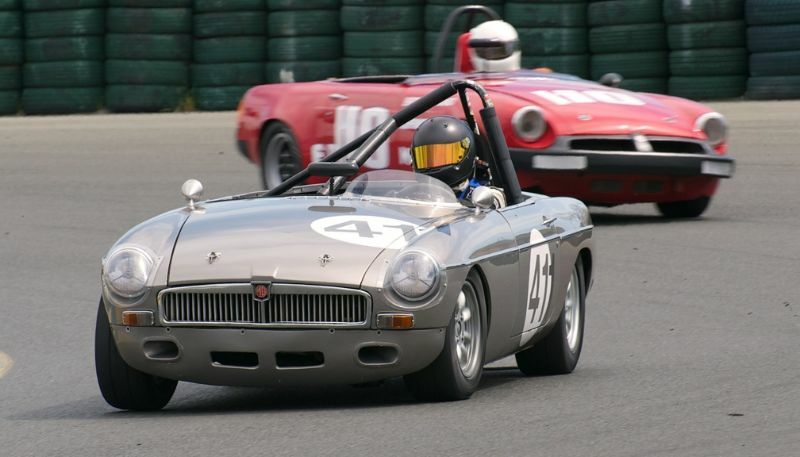 The CSRG race weekend also featured the MG West Coast Reunion with nearly 100 MGs racing in special MG-only groups, an MG parade during the lunch break each day, as well as charity track rides on Saturday. 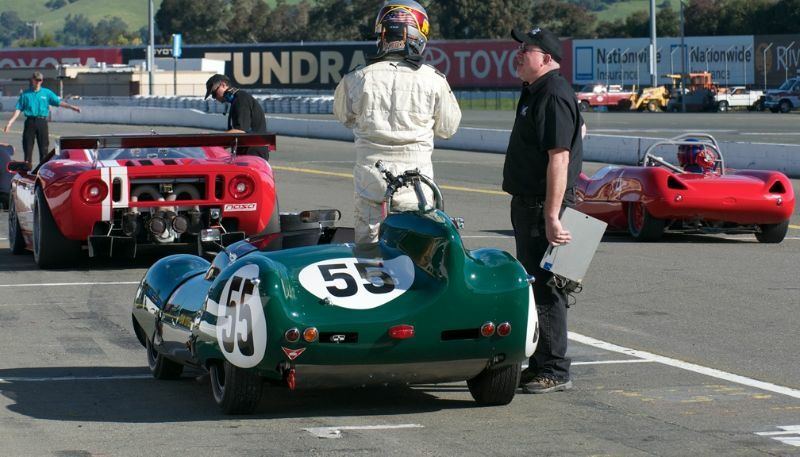 CSRG returns to Infineon Raceway, October 1-2, 2011 for the CSRG Charity Challenge. 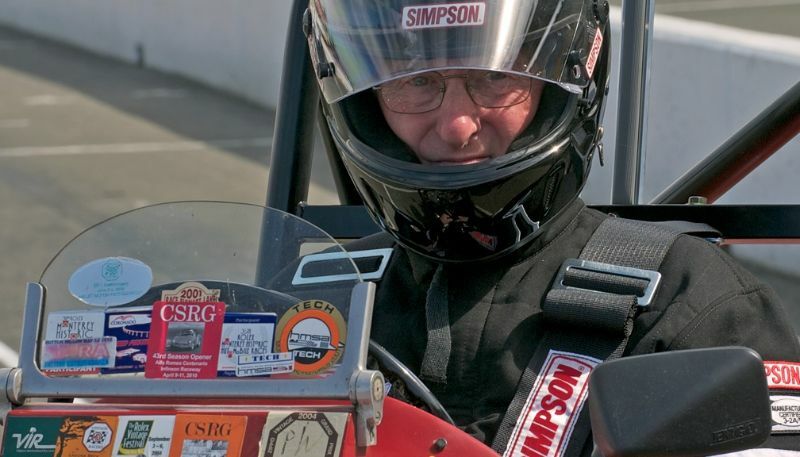 CSRG has contributed nearly $500,000 to Sonoma County youth organizations through Speedway Childrens Charities since 2002. 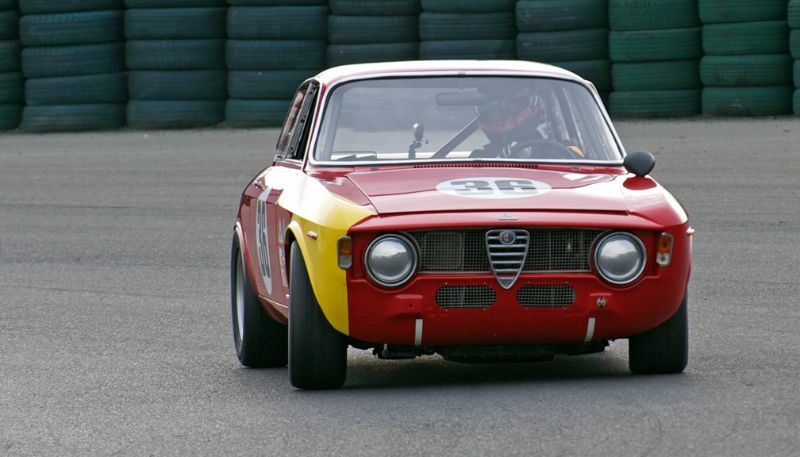 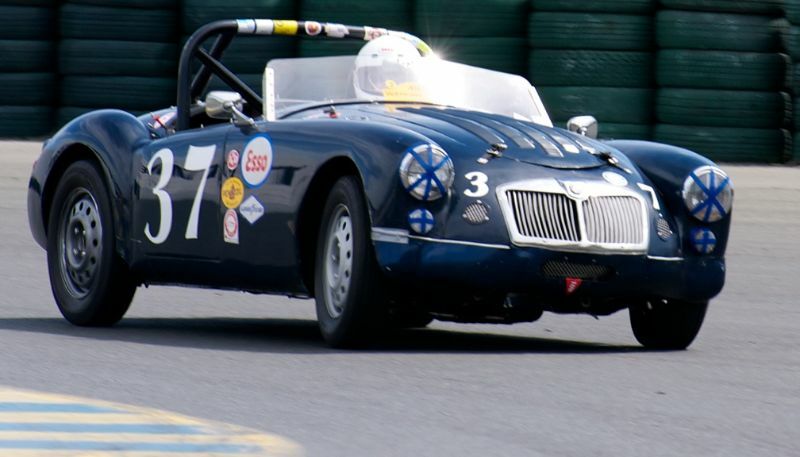 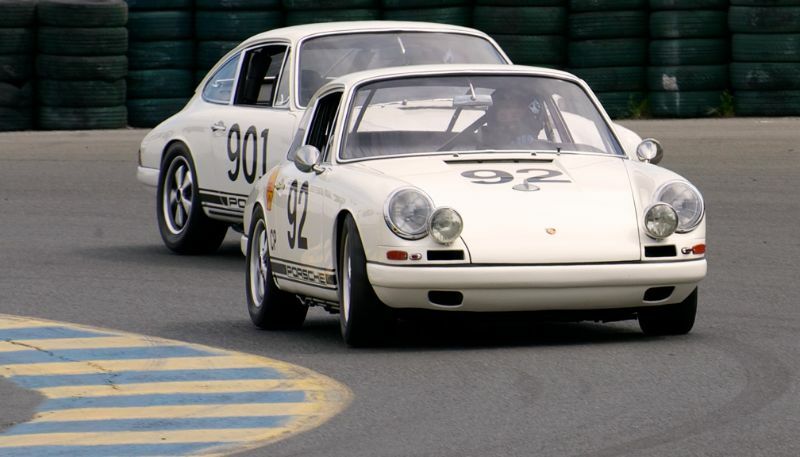 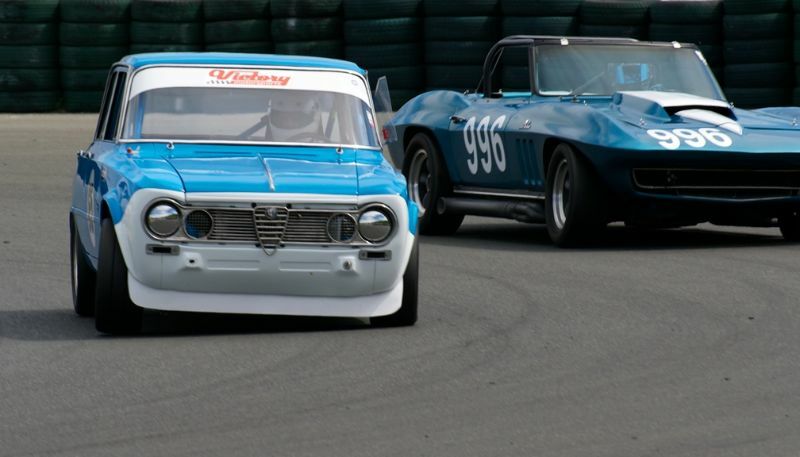 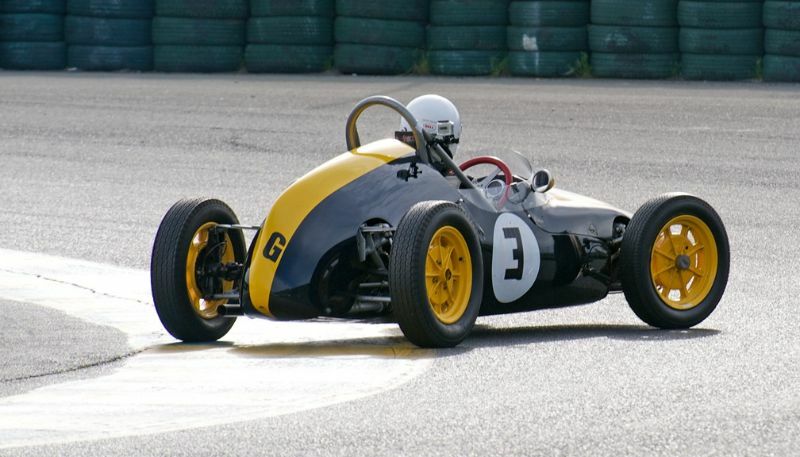 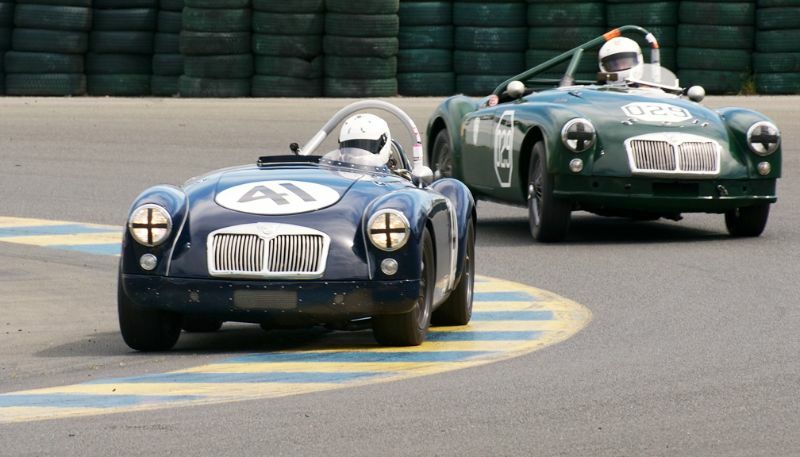 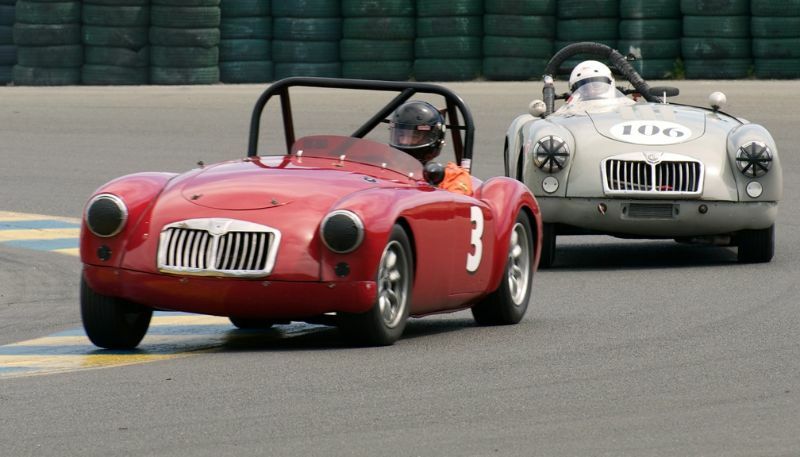 For more information on the Classic Sports Racing Group, visit www.csrgracing.org. 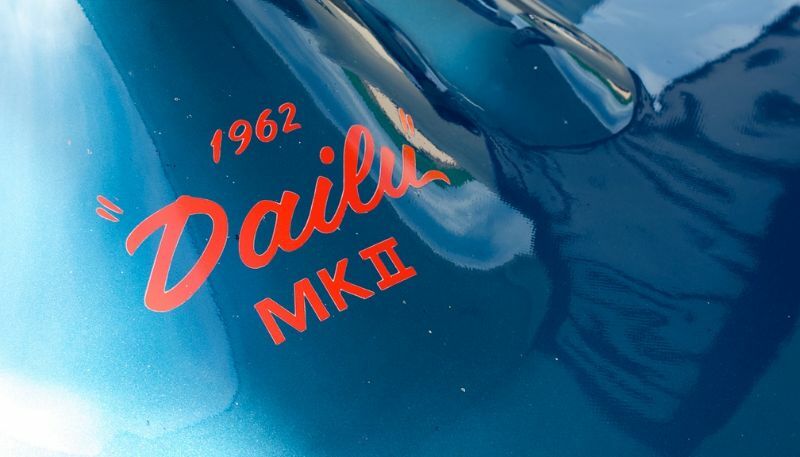 1950 MG TD John Von Neumann Special, Don Martine – Don Martine’s 1950 MG TD John Von Neumann Special had its body built by West Coast sheet metal artist Emil Diedt combined with an engine built by Competition Motors. 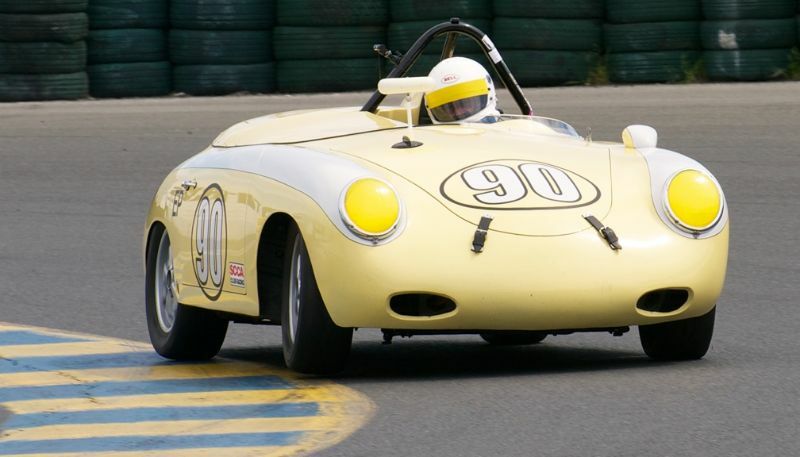 John Von Neumann purchased the car in 1950. 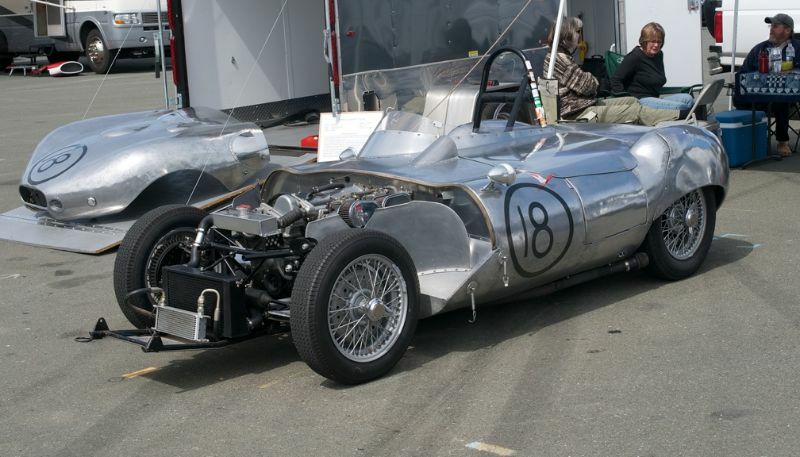 His team removed the entire wood body sub frame replacing the wood with electrical conduit tubing. 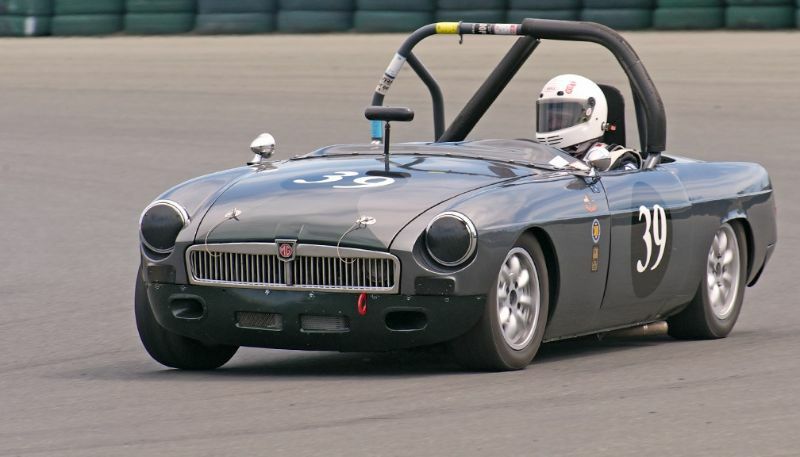 Aluminum replaced the steel used in the hood, fenders, doors, gas tank and front and rear valences. 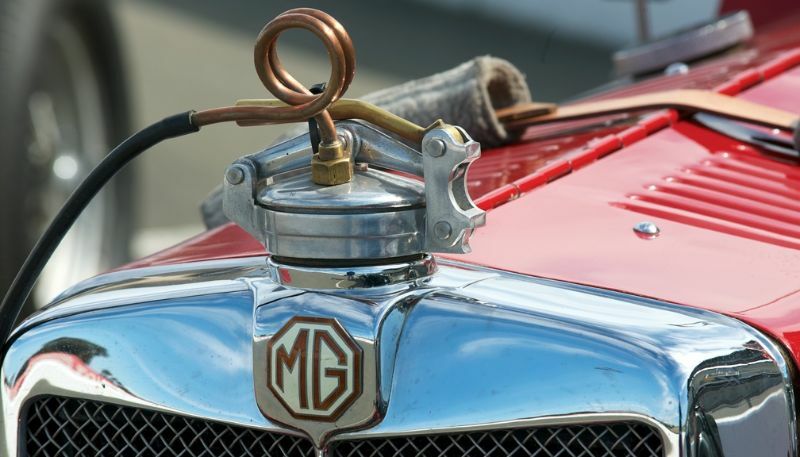 The body and grill and radiator were sectioned and the body ‘channeled’ or dropped over the frame hot rod style. 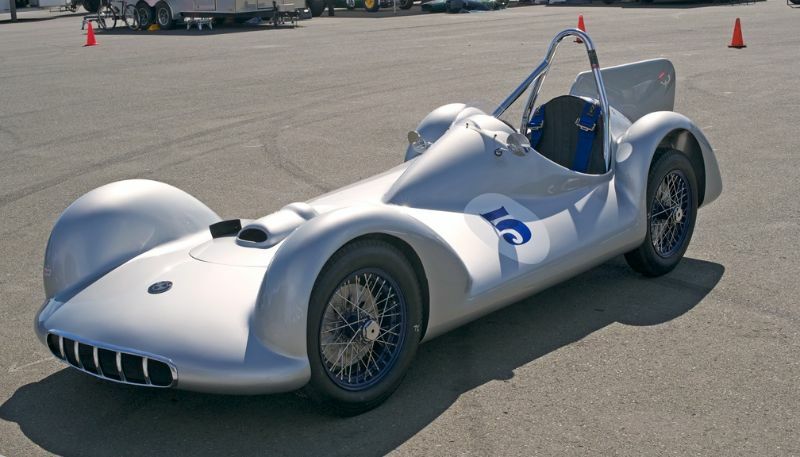 Emil Diedt did the aluminum bodywork. 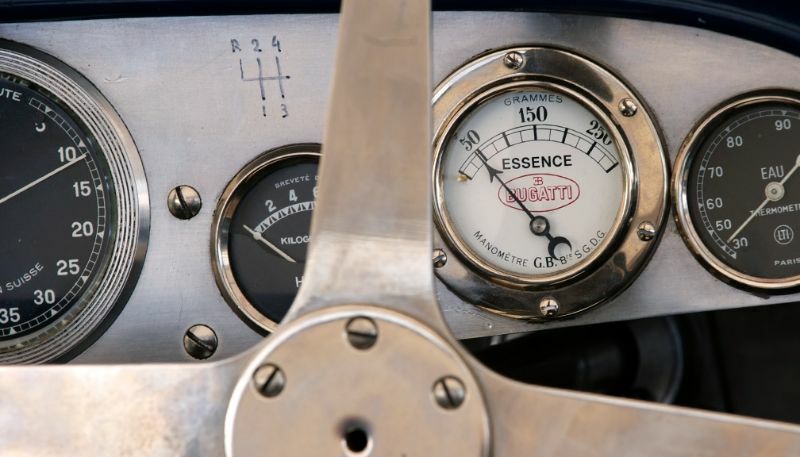 Under Diedt’s direction, the frame was boxed then cut and drilled for lightness and strength. 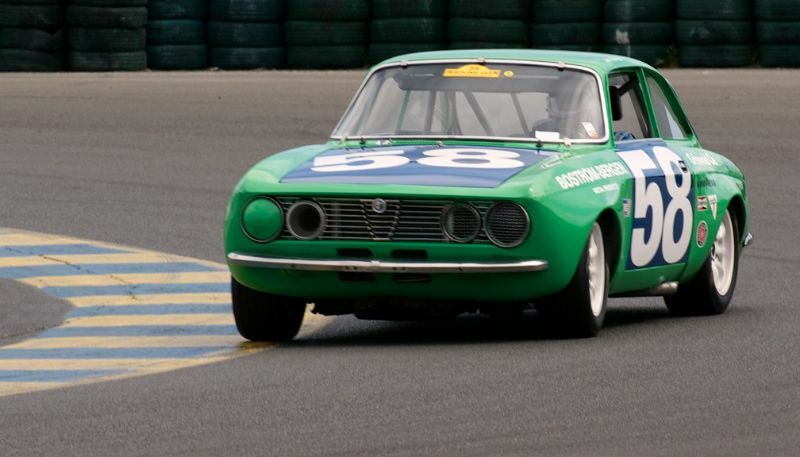 The drilled holes were alternated between the inside frame walls and the outside frame walls to maintain strength. 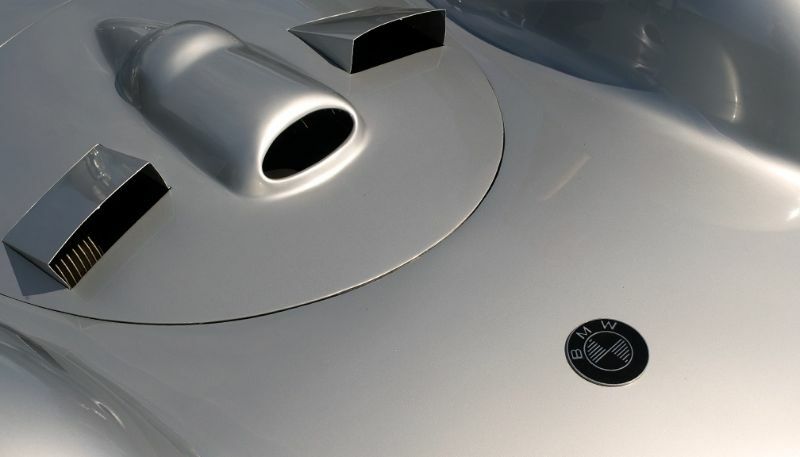 The front A-arms were also drilled for lightness. 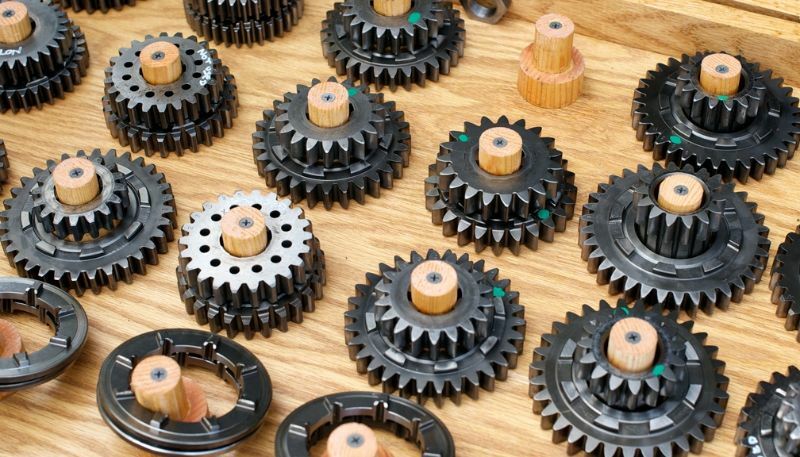 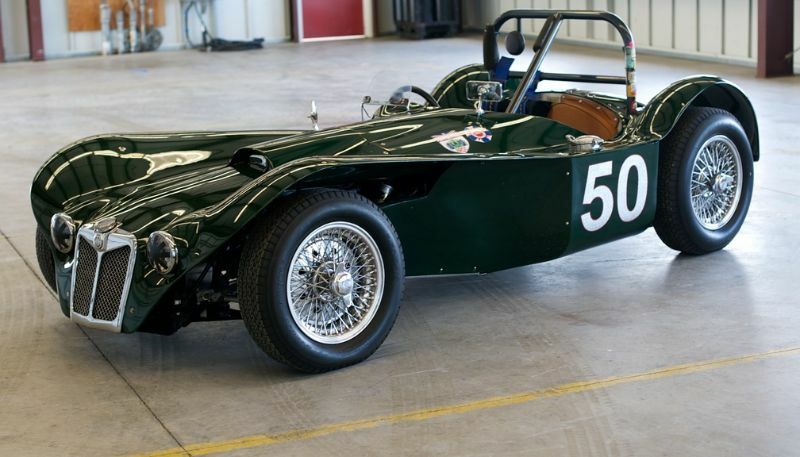 As a final touch to the running gear the TD transmission was replaced with an earlier stronger and lighter TC gearbox. 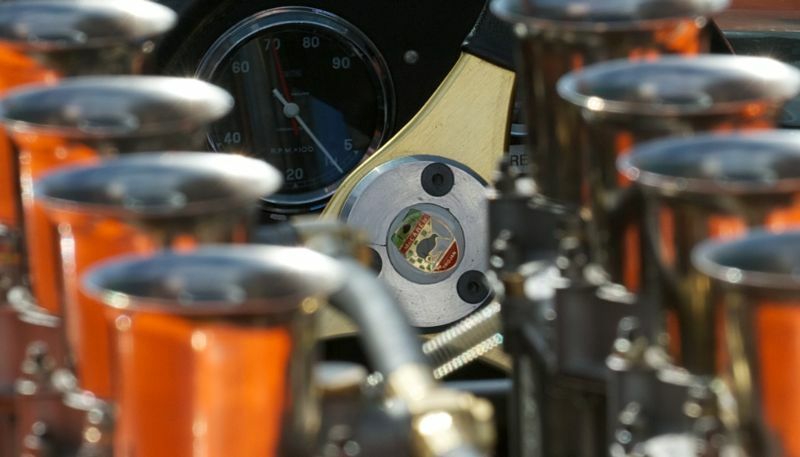 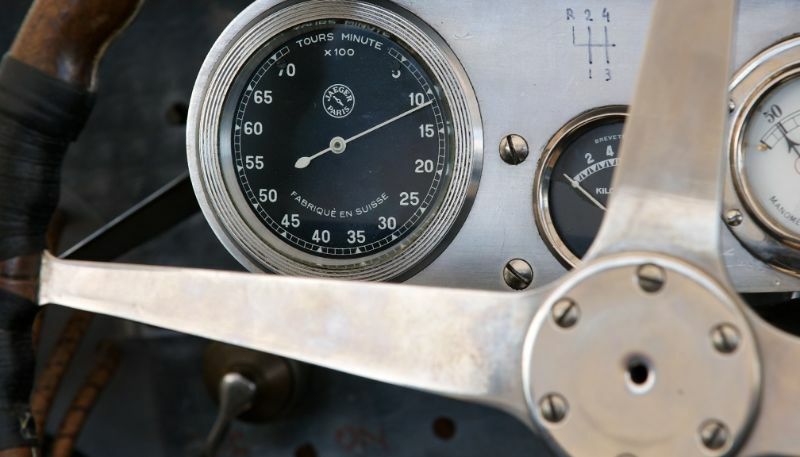 An aluminum engine turned dashboard replaced the original unit with only instruments required for racing. 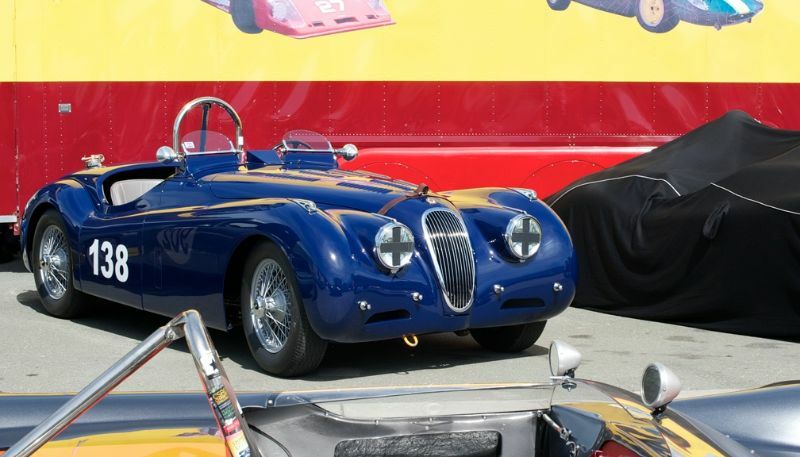 Two ‘driver’ type seats were installed replacing the bench seat. 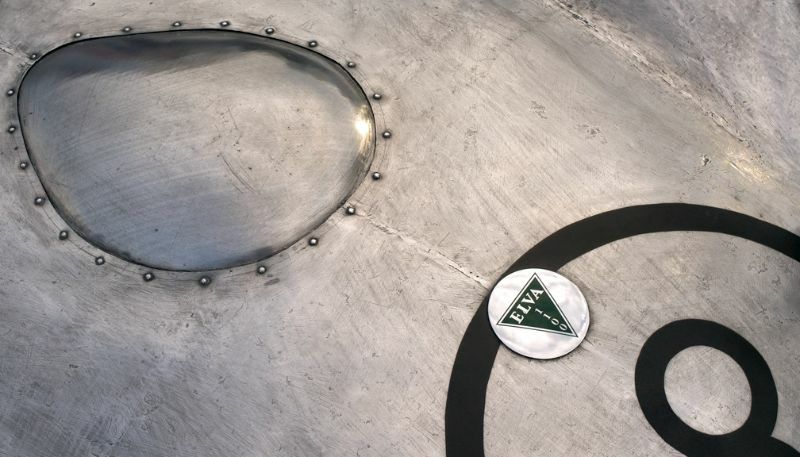 The wooden floor panels were replaced with aluminum sheet. 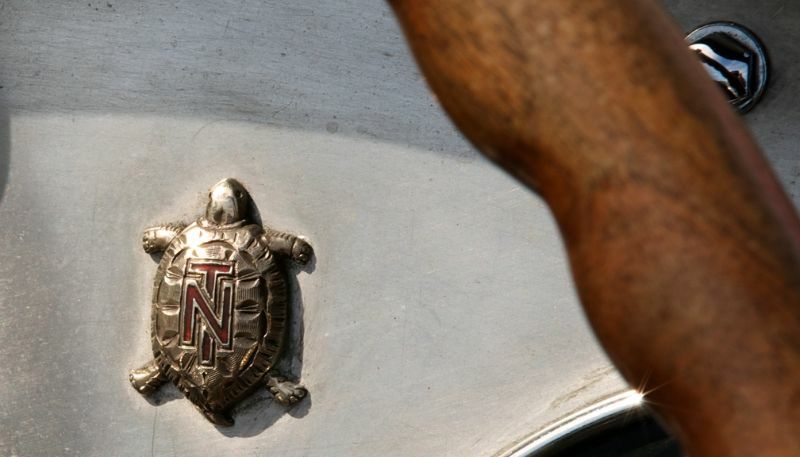 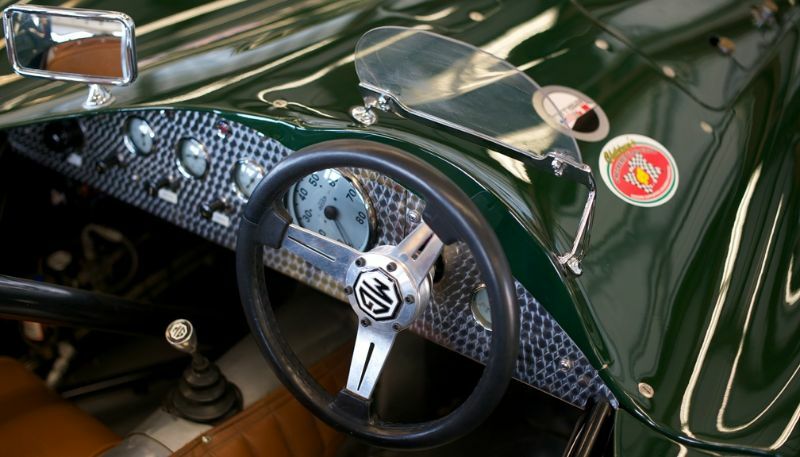 Eleanor Von Neumann handcrafted an aluminum leather covered steering wheel. 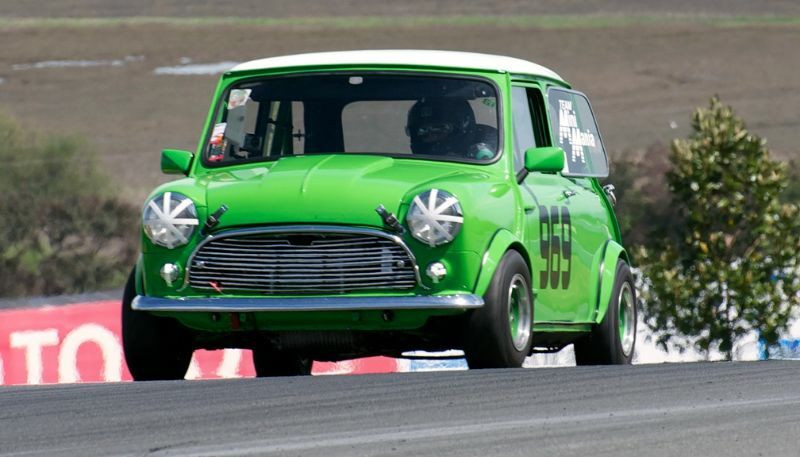 Front coil springs were cut to lower the car’s stance matched with removing rear spring leaves to match the rear ride height to the front. 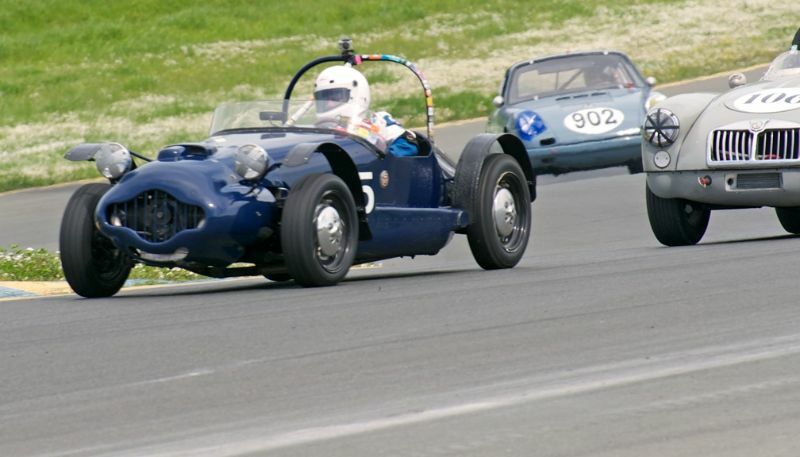 The removed rear spring leafs also served to soften the ride. 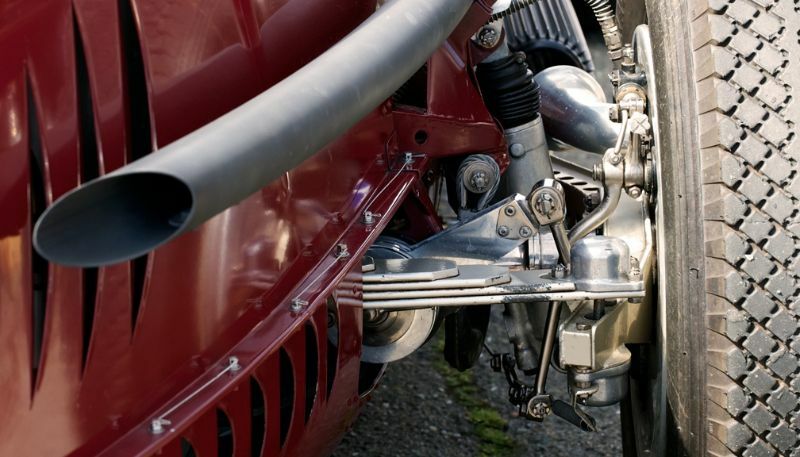 Traction bars were added to the rear to reduce wind-up on acceleration. 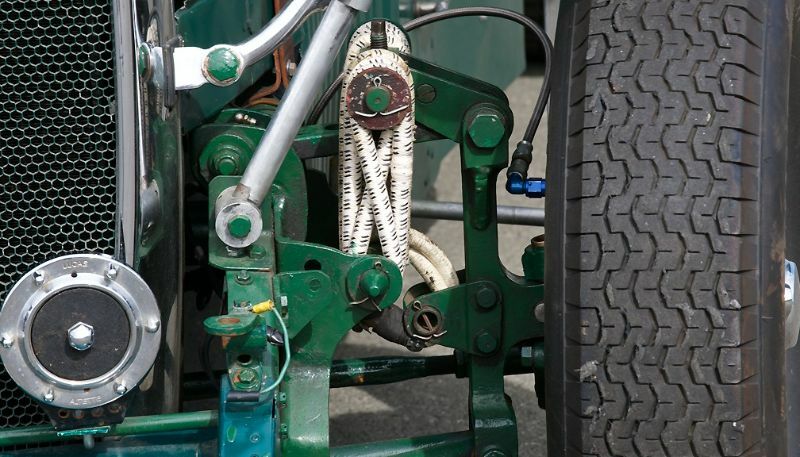 Anthrex adjustable shocks replaced the original lever shocks on the rear. 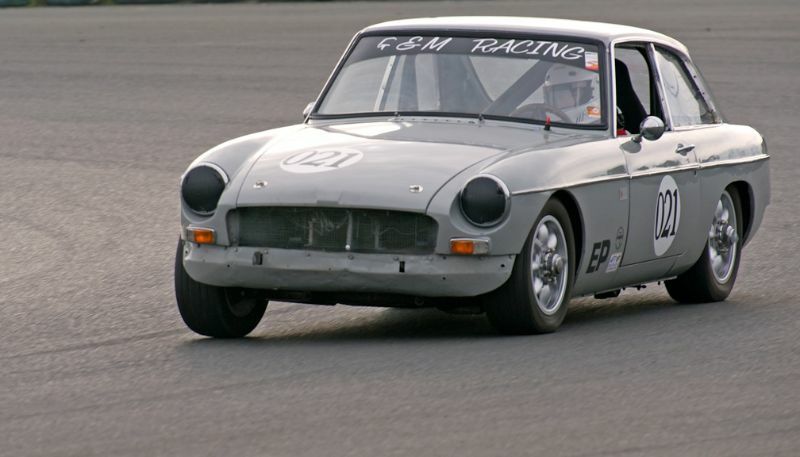 A shorter drive shaft was made up to match the TC gearbox with a low ratio rear end. 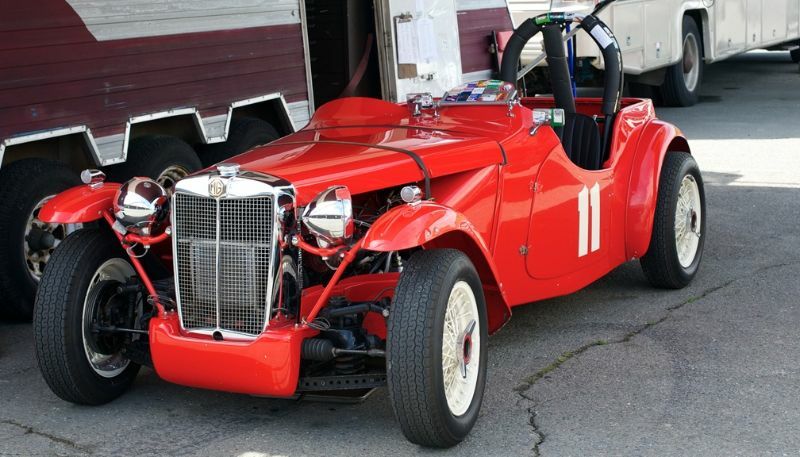 Borrani wire wheels and Alfin aluminum drum brakes are the finishing touches to the suspension system. 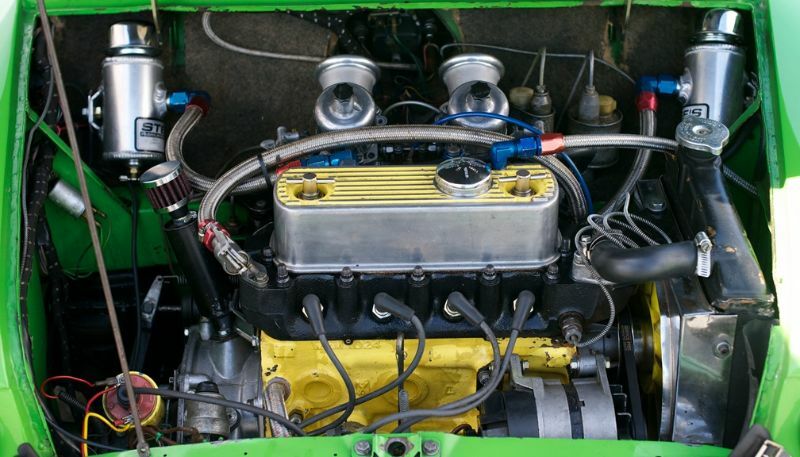 The engine was heavily modified for the day including a Lucas magneto, removing the fan, double 1.5” SU carbs, baffled 6 quart oil pan, oil cooler, lightened connecting rods, finished off with a comprehensive engine balance. 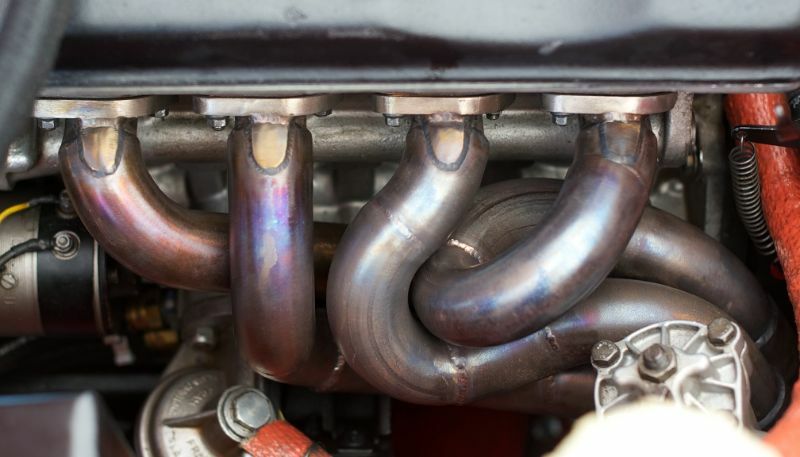 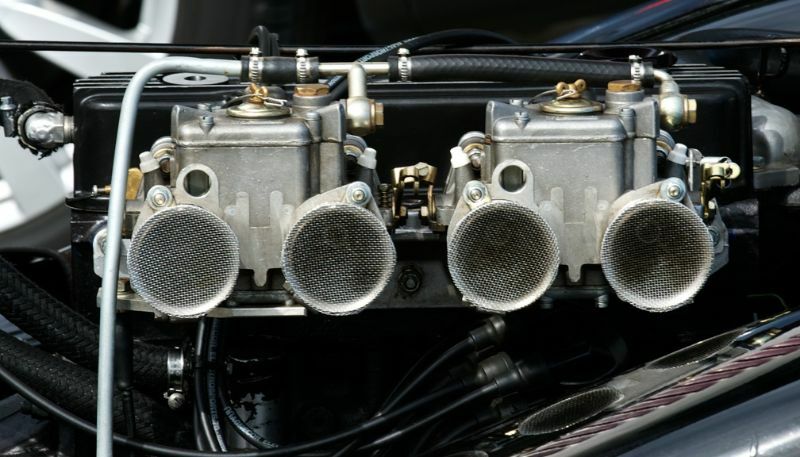 The head was ‘shaved’ or ‘milled’ to increase compression. 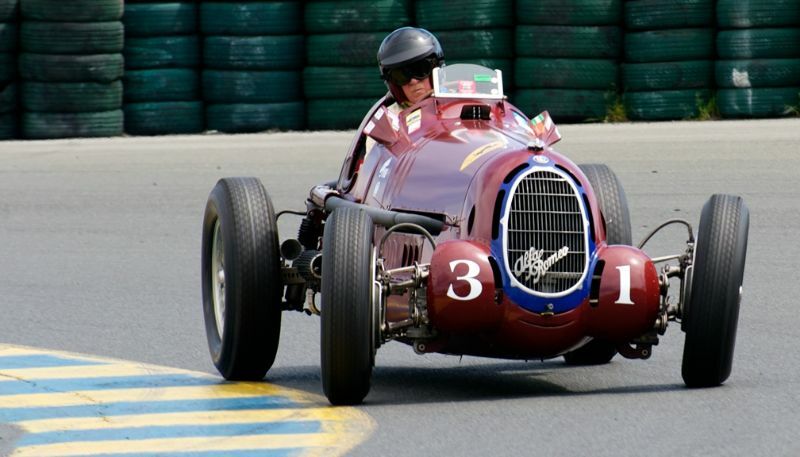 The car entered its first race the 1950 Pebble Beach Road Race. 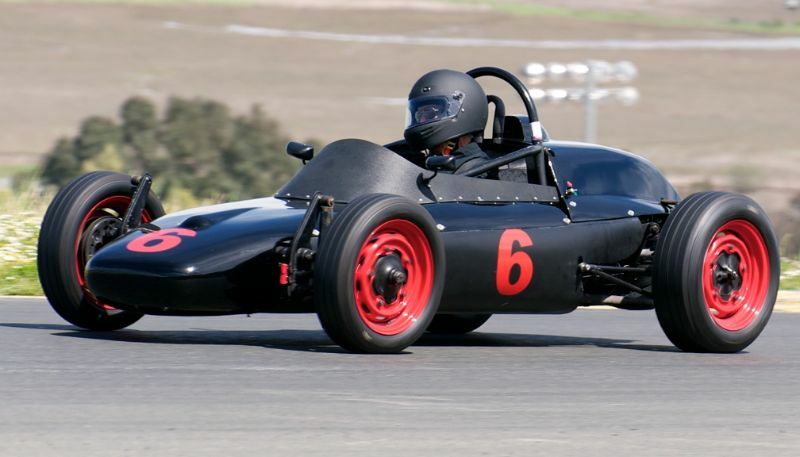 John Von Neumann drove the car to victory. 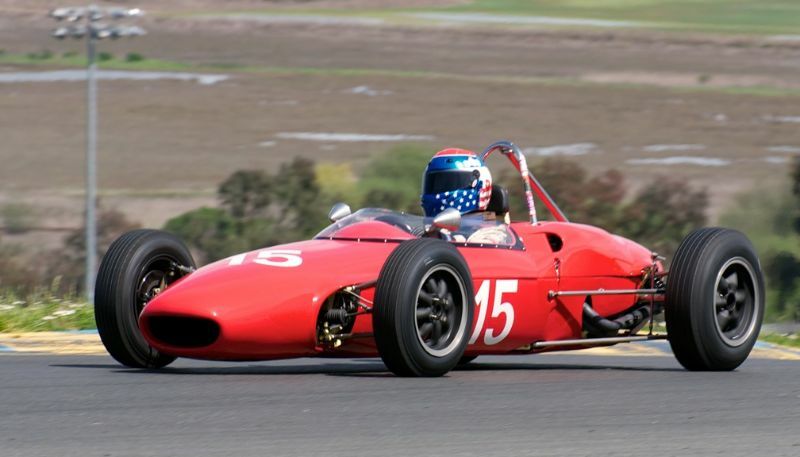 Von Neumann and the car went on to win Palm Springs in 1951, Carrel Speedway in 1951, Torry Pines in 1951, and the Sanberg Hill Climb in 1951. 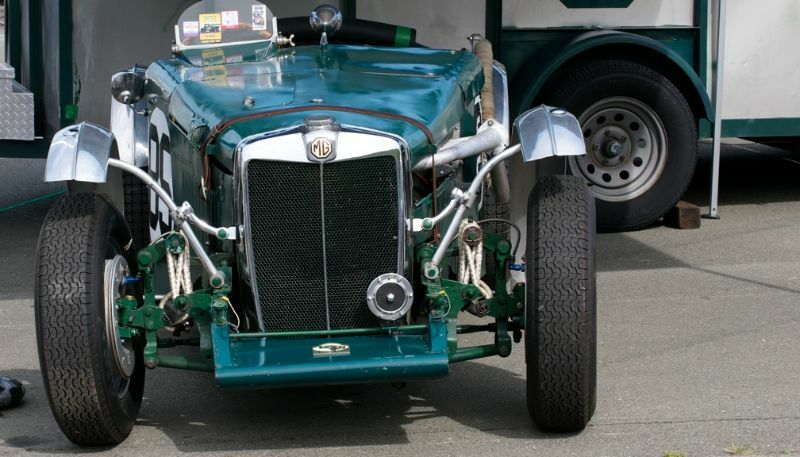 Von Neumann and the MG TD Special entered 14 races and won 7. 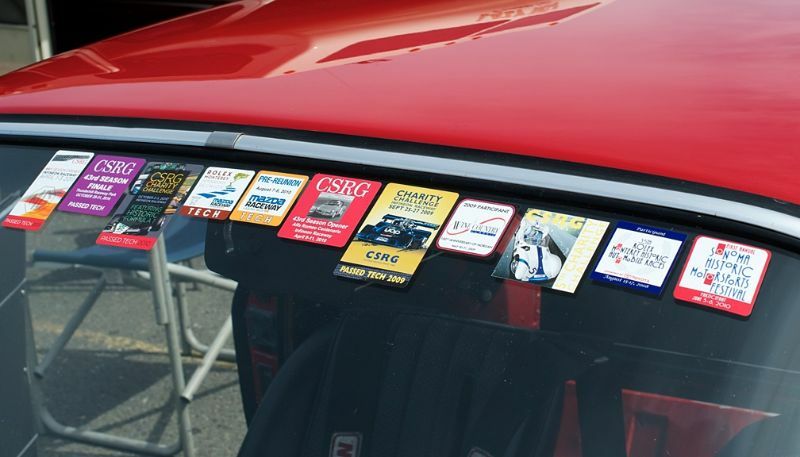 As always seems the way the car covered many miles with a varied selection of owners being modified in many ways over the past 61 years. 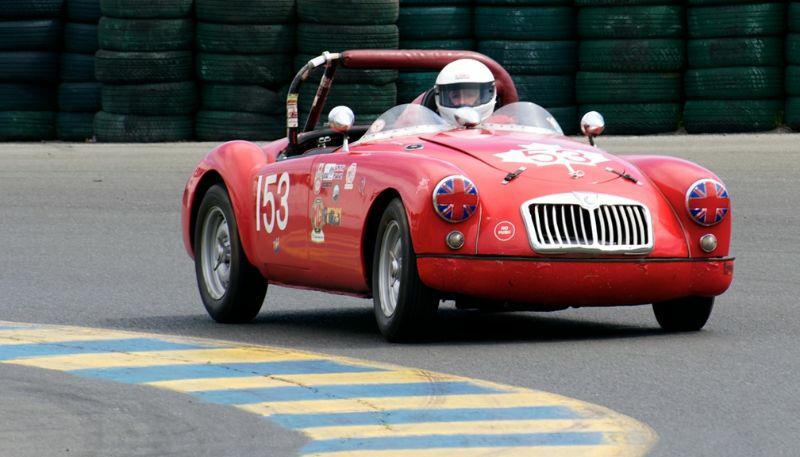 Don Martine bought he car in 1989 returning it to period correct specifications. 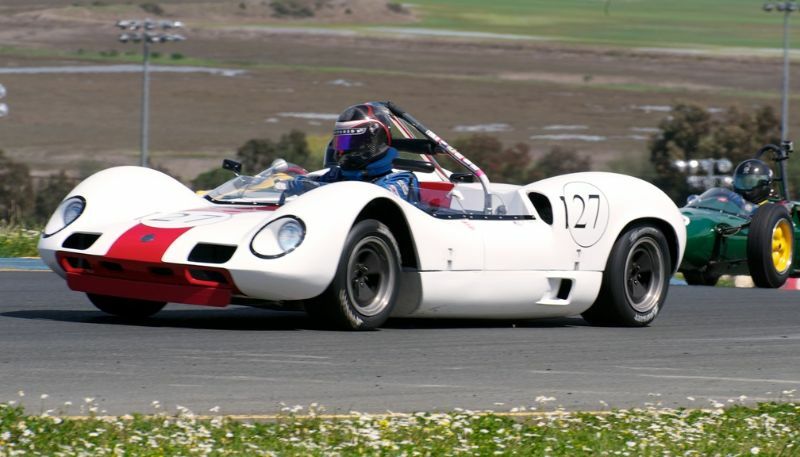 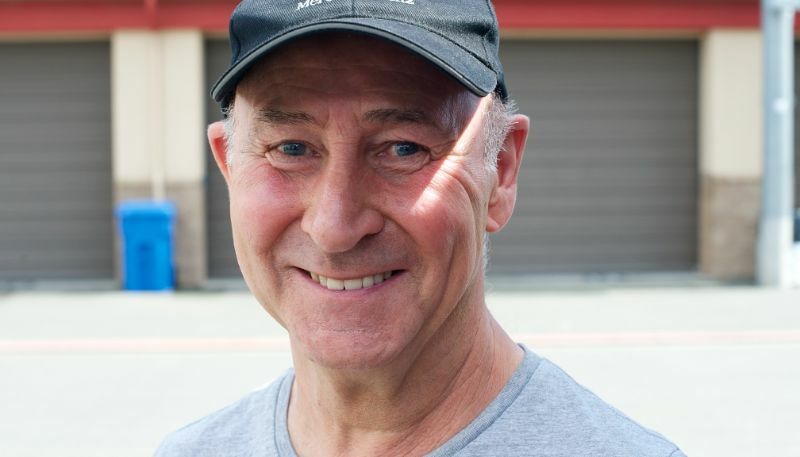 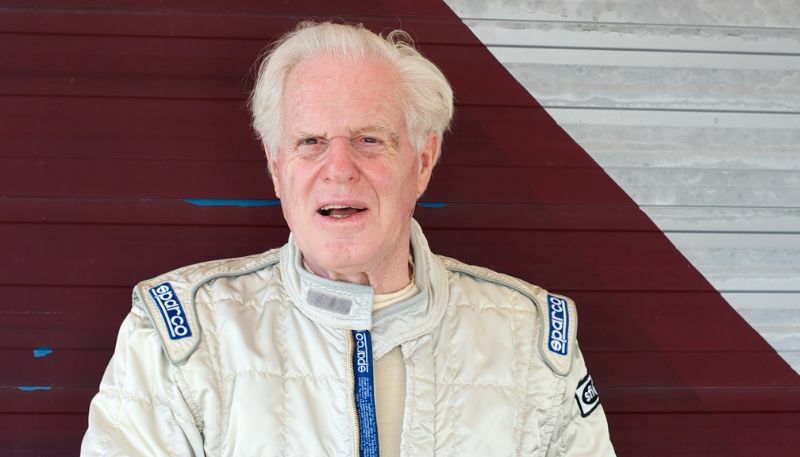 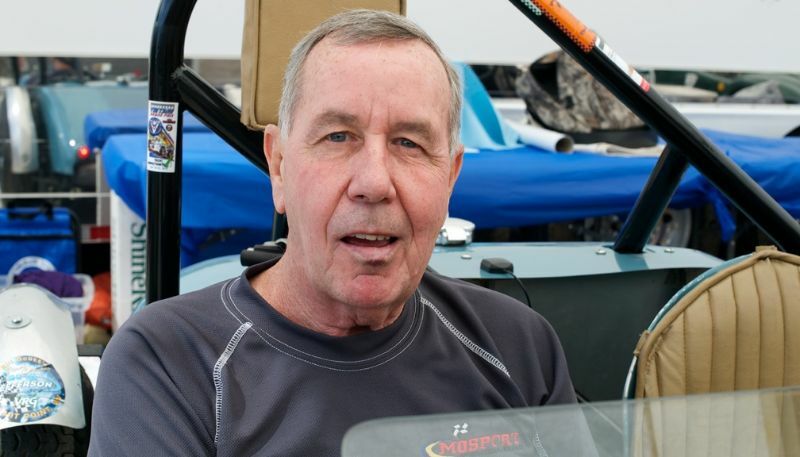 Don has raced the car and won at Sears Point, Lime Rock, Laguna Seca Coronado, Watkins Glen among others. 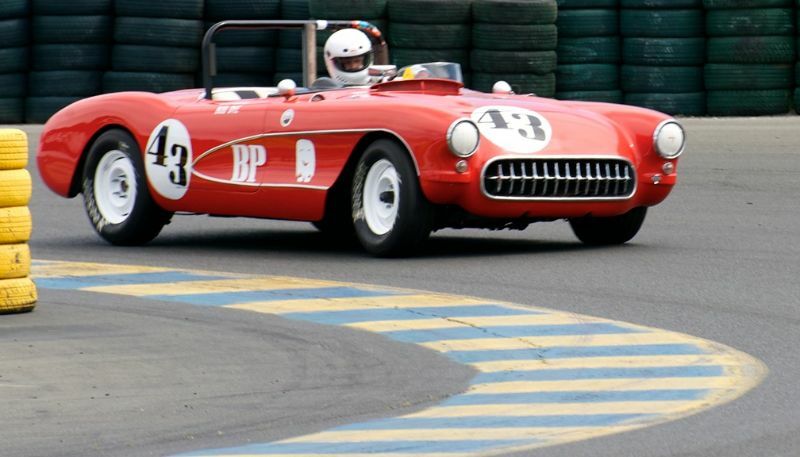 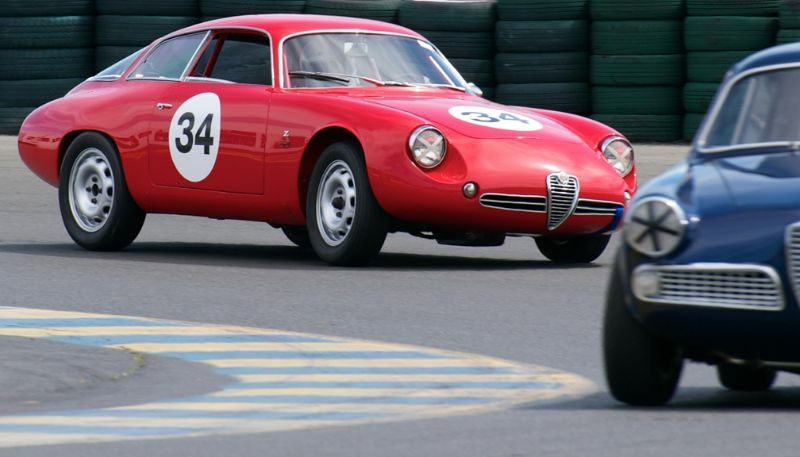 On the Concours trail, Don and the car have won at Santa Barbara and Pebble Beach. 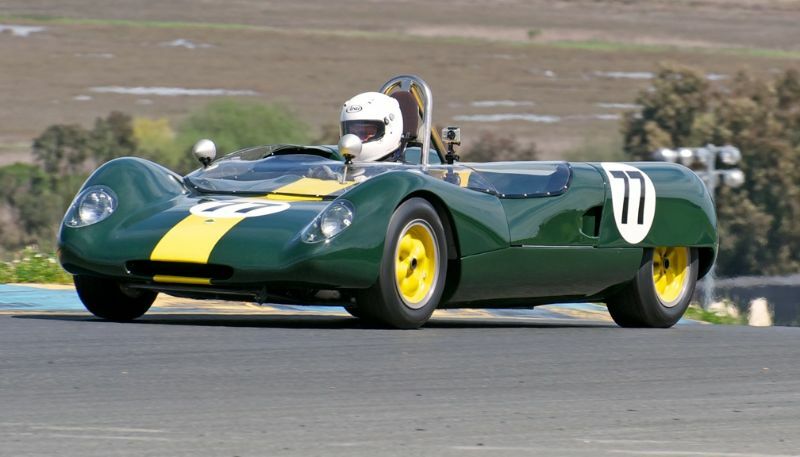 1958 Lotus Eleven Le Mans Series 1.5, Harinda de Silva – Harinda’s Lotus Eleven holds an FIA Historic Vehicle Identity Form and is recognized as the only Lotus to finish the 1958 24 Hours of Le Mans. 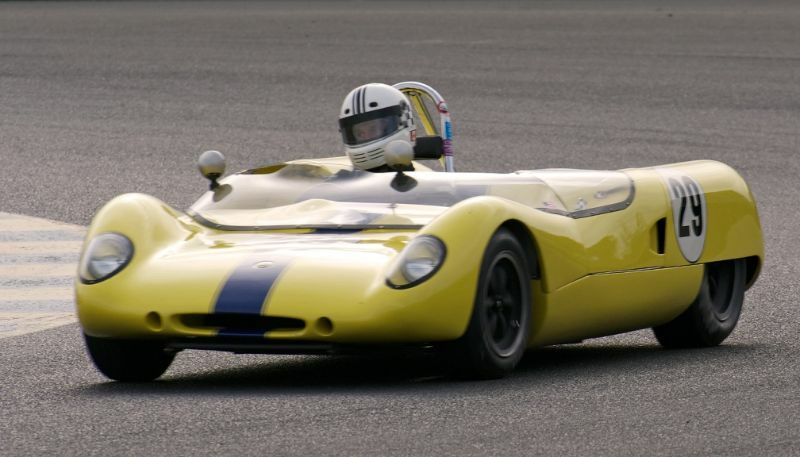 A Lotus factory car driven by Alan Stacey and Tom Dickson, the car finished in 20th place. 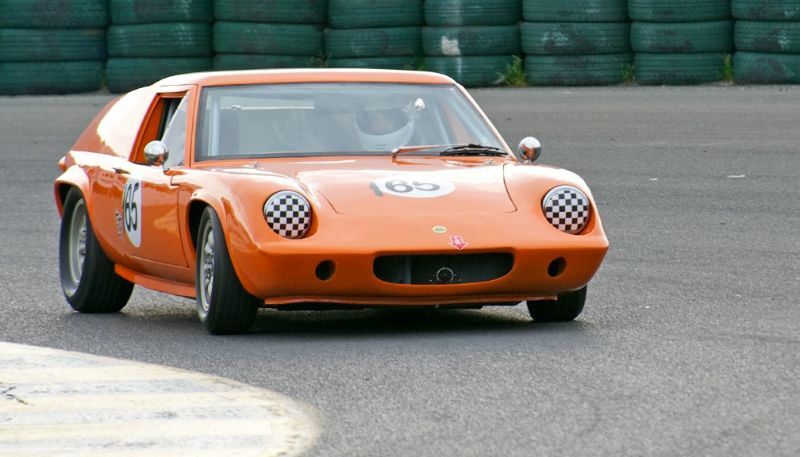 Subsequently the car was sold to Don Le Clous of Rhodesia with no further international level competition. 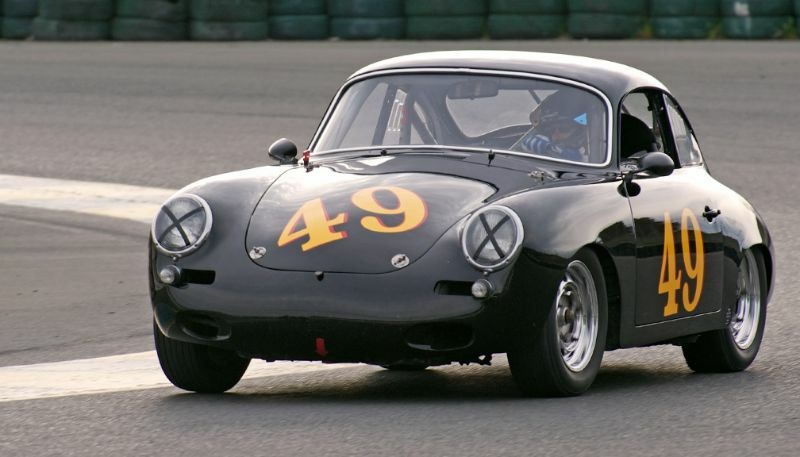 The 1958 24 Hours of Le Mans was a race that suffered from heavy rain fall. 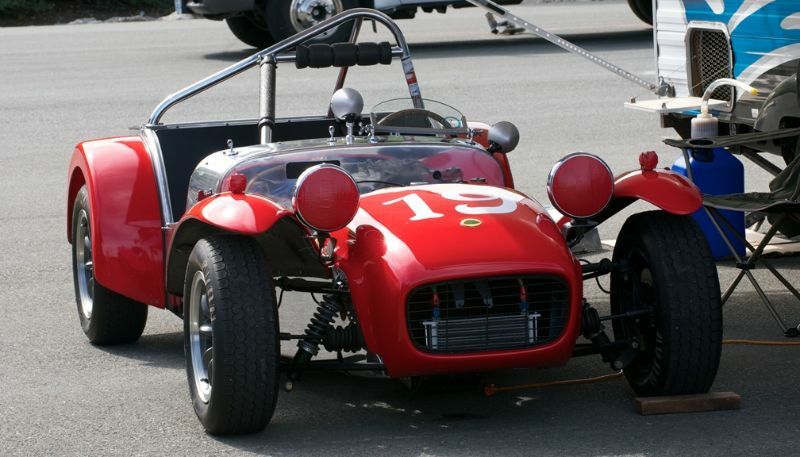 Lotus has four works cars and two private entries in this race only Ferrari had more with eleven entries. 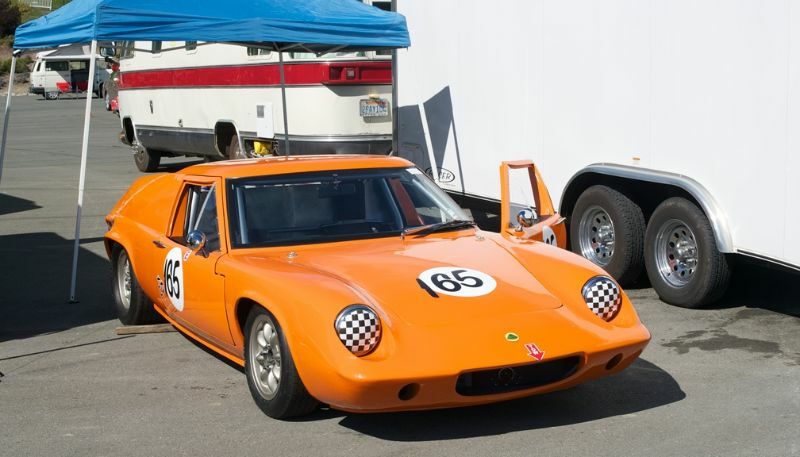 This Lotus was technically the most interesting of the Lotus entries. 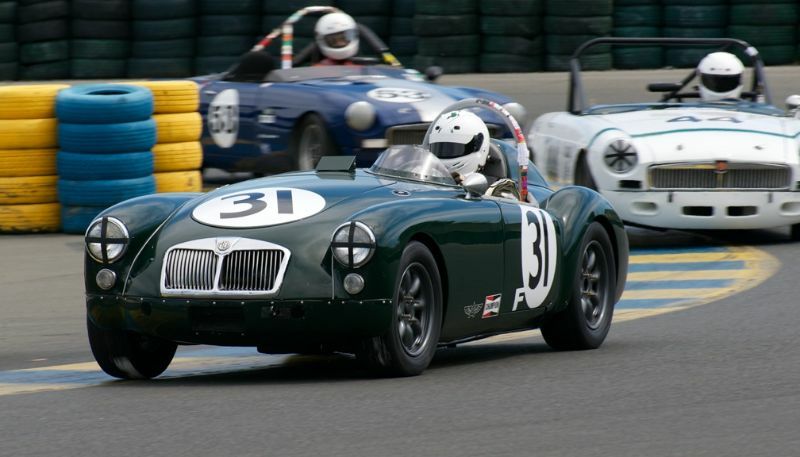 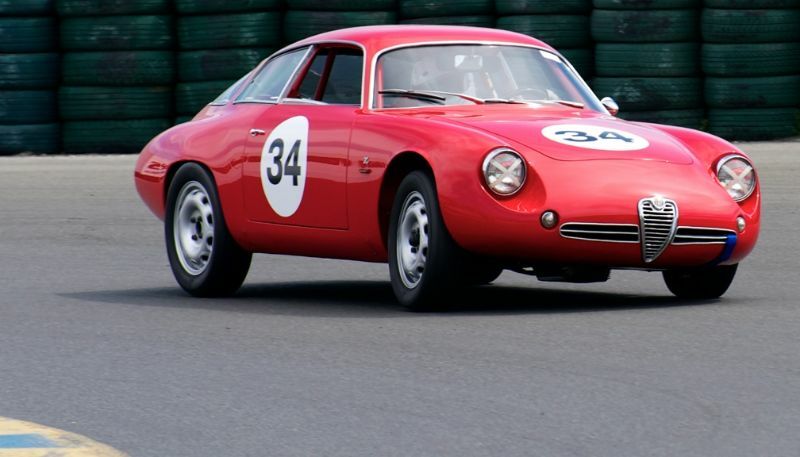 Carrying the number 55 the car started with a new Coventry Climax engine of 750cc aiming for the French Index of Performance title. 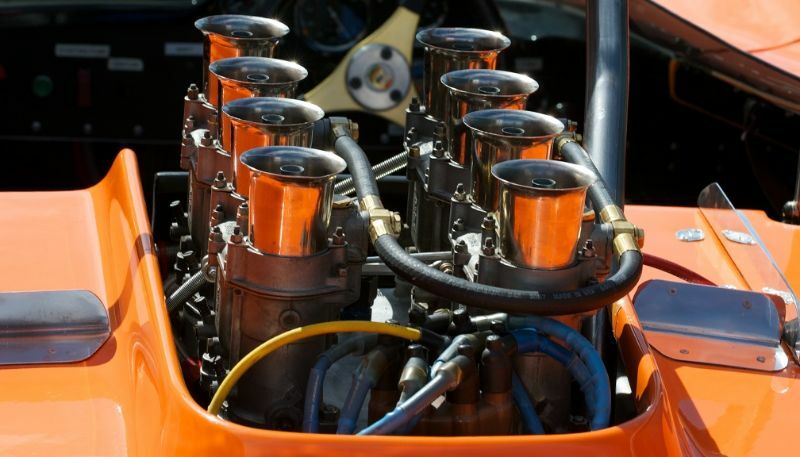 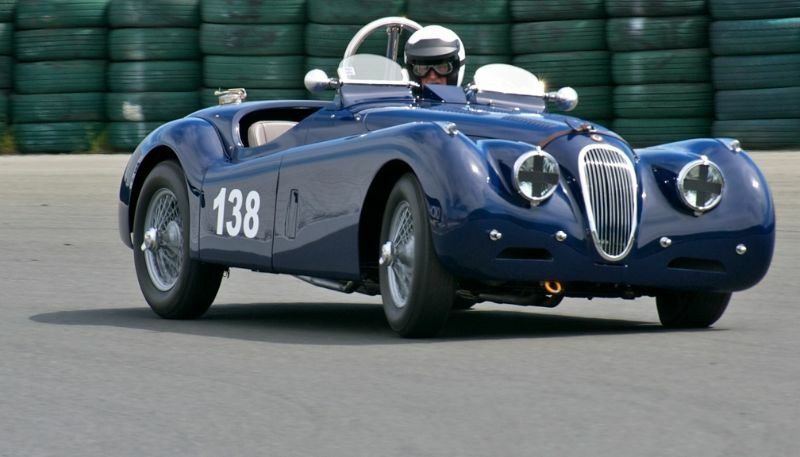 In practice the new Coventry Climax engine, 63BHP at 7200rpm suffered bearing failure. 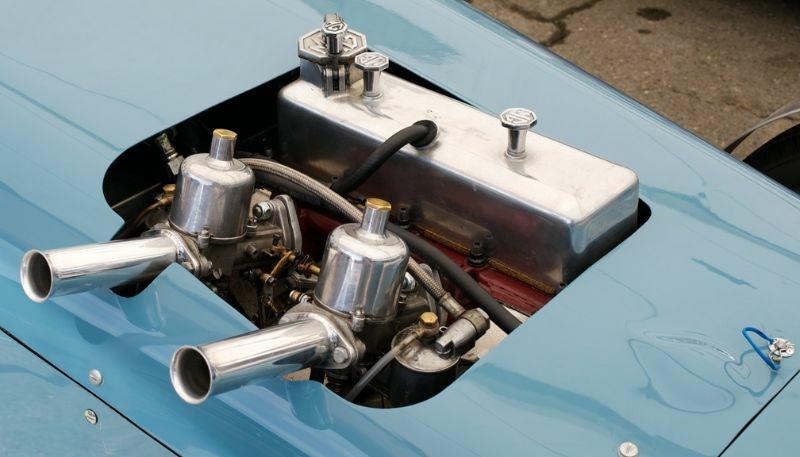 The new engine was then replaced with the subsequent years 750cc Coventry Climax engine. 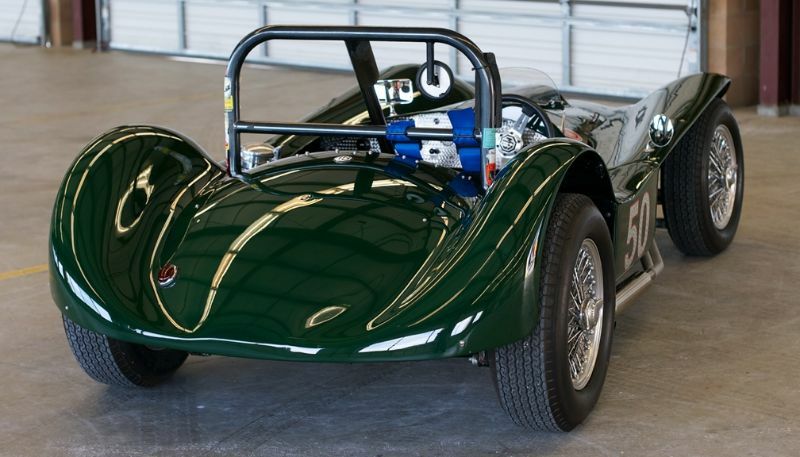 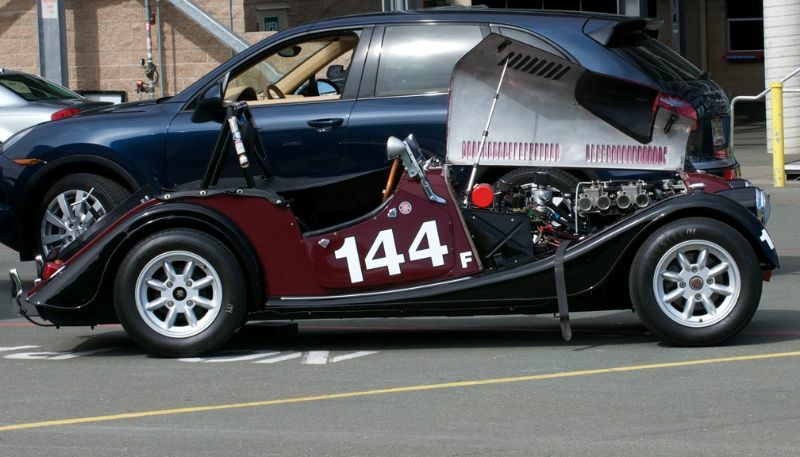 The chassis details that set this car apart closely resemble the Lotus Eleven ‘Club’ models. 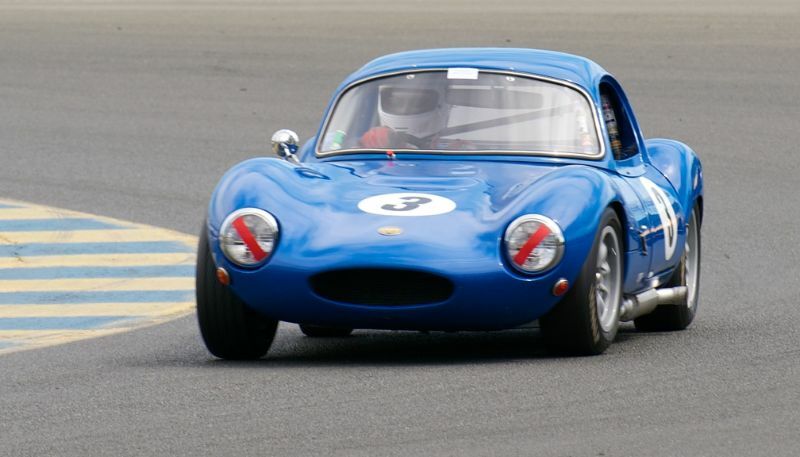 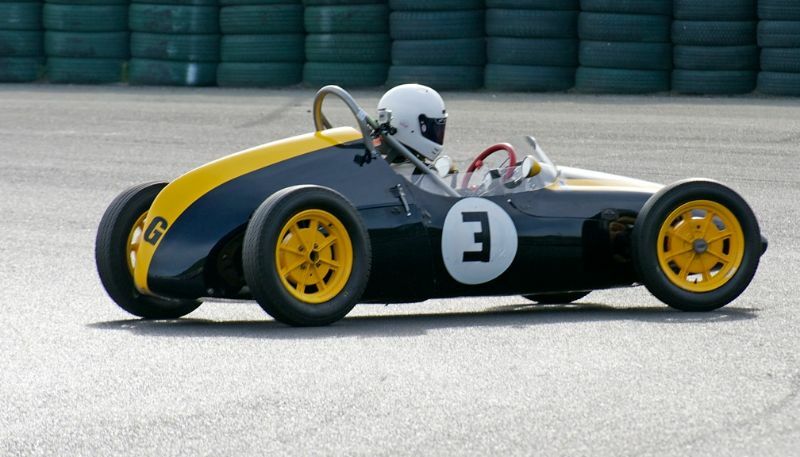 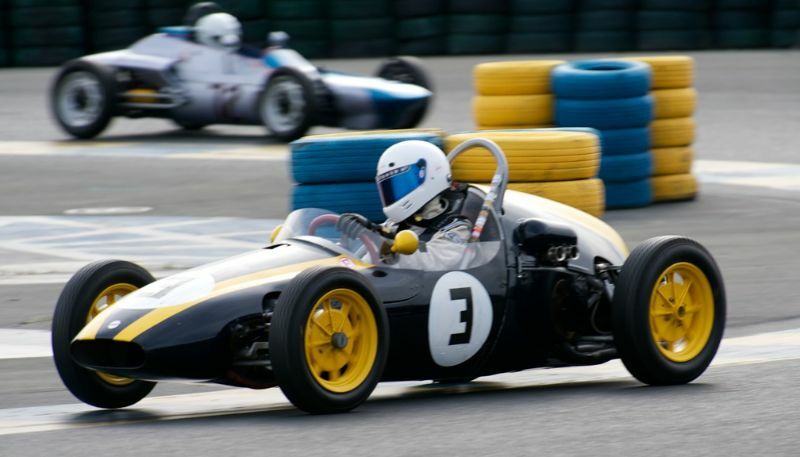 A live rear axle was fitted to reduce transmission power loss Lotus was experiencing in the smaller engine cars when combined with the DeDion rear suspension. 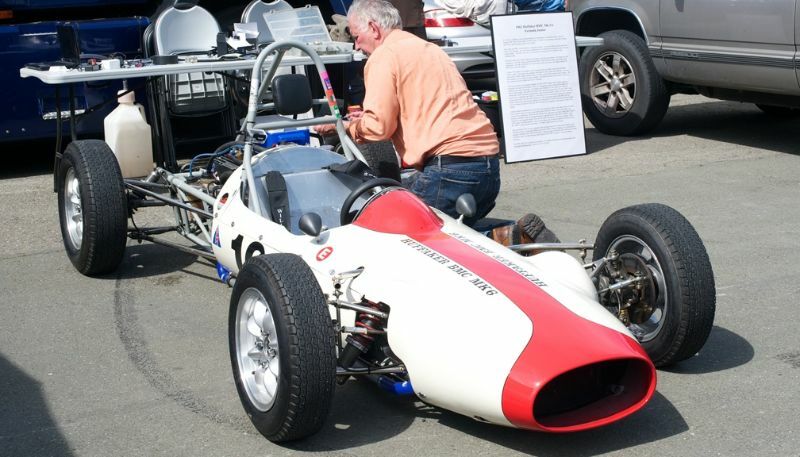 Drum brakes were fitted on the rear to simplify assembly with disc on the front. 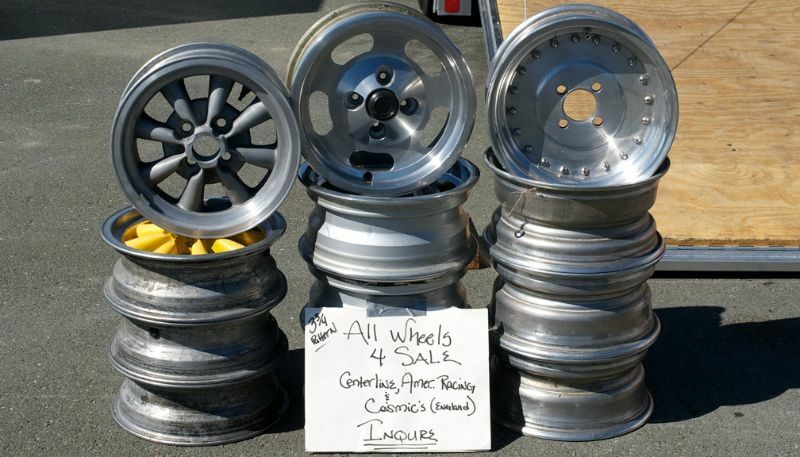 No tire changes were anticipated so bolt on alloy wheels were fitted. 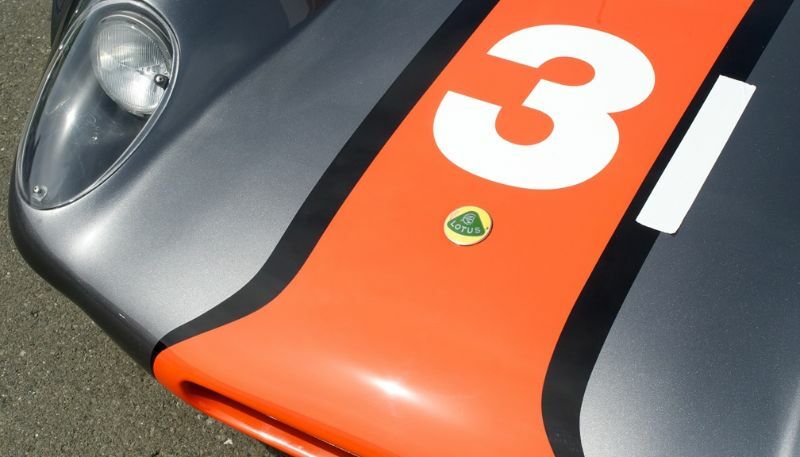 The car does have the Lotus aerodynamic Costin designed high tail with an inflated tonneau cover. 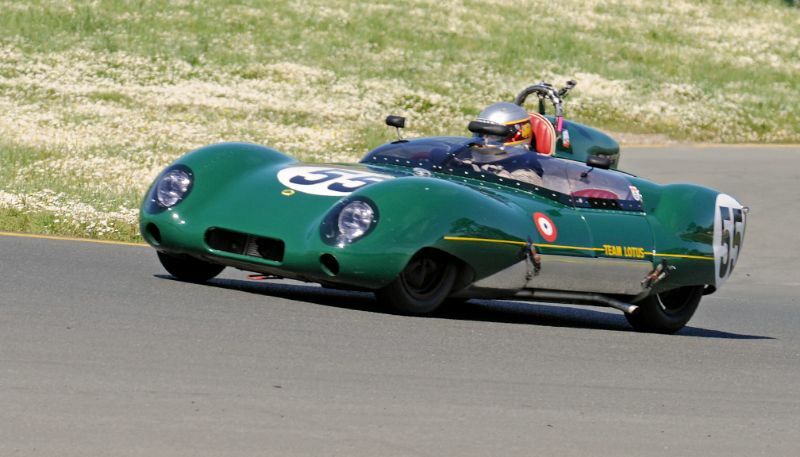 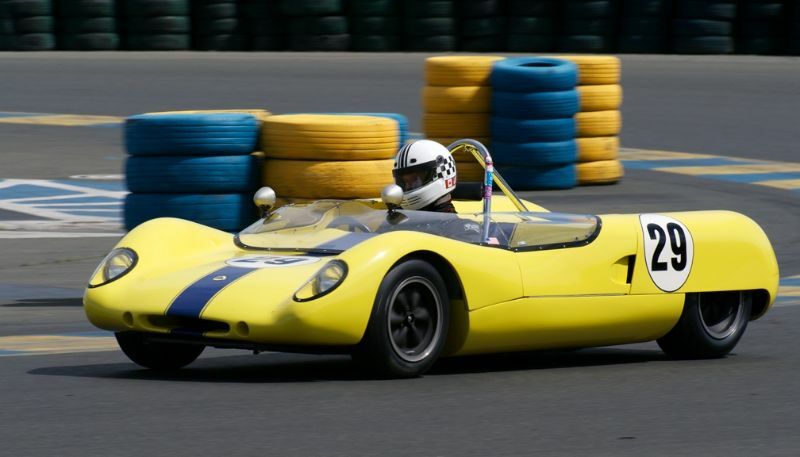 By mid-point of the 1958 24 Hours of Le Mans only this Lotus Eleven 750cc remained in contention. 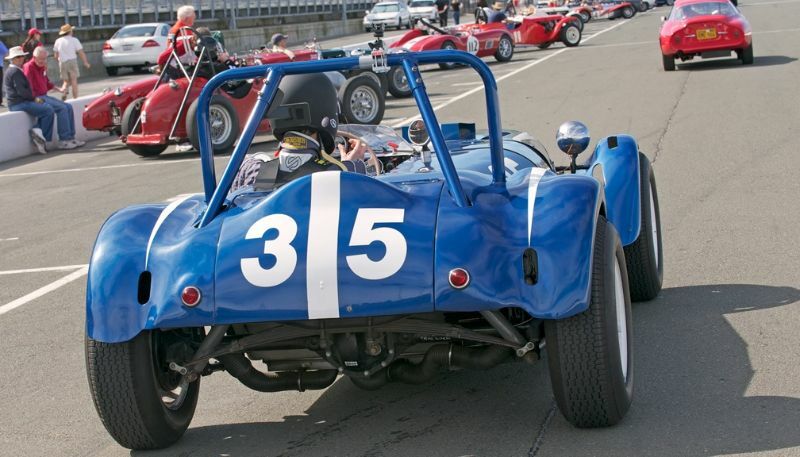 To remain in the race required Tom Dickson to dig the car out of the sand at Tertre Rouge just after dawn. 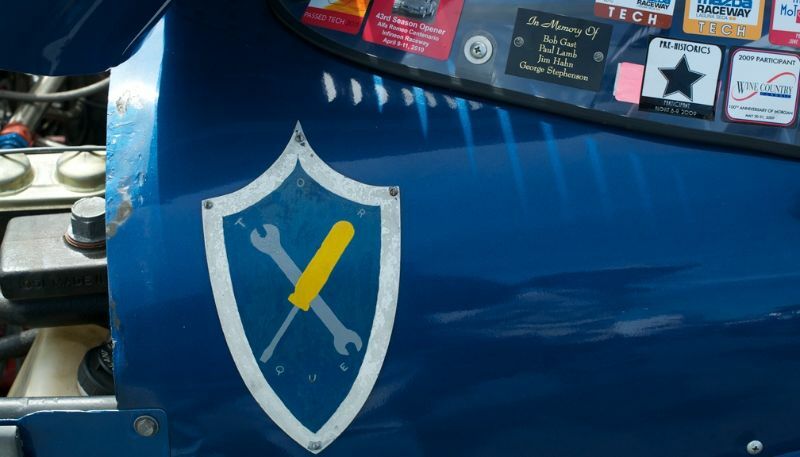 Dickson had started digging with a head lamp cover but then found an old shovel lying near by. 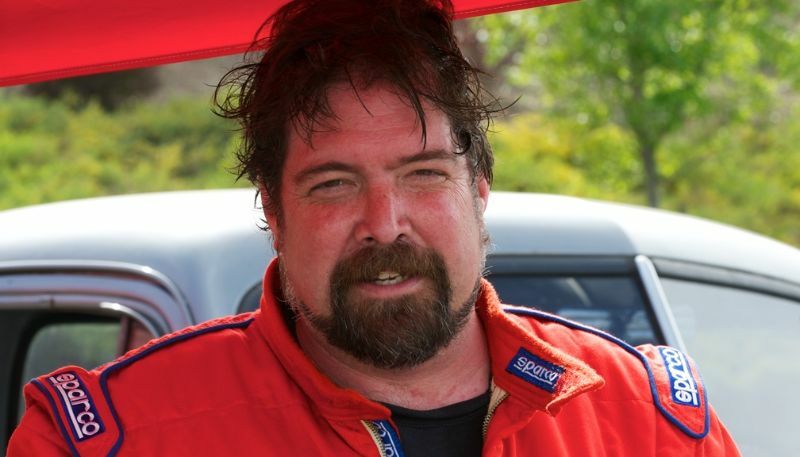 Dickson managed to get the car back to the pits where the body was beaten out, brake lights repaired and many pounds of wet sand removed from the cockpit. 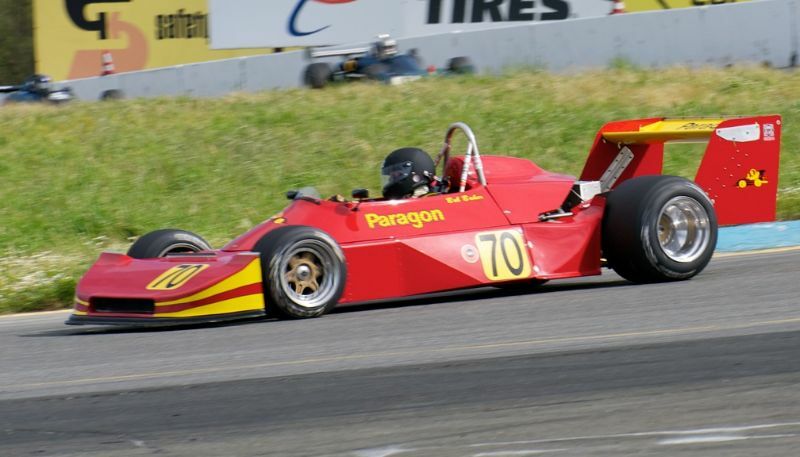 Stacy got the car running again resuming the race in twentieth and last place where it finished some hours later. 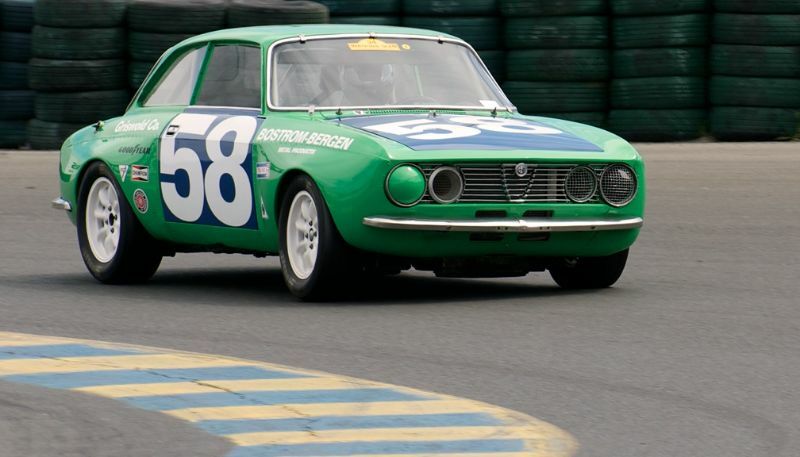 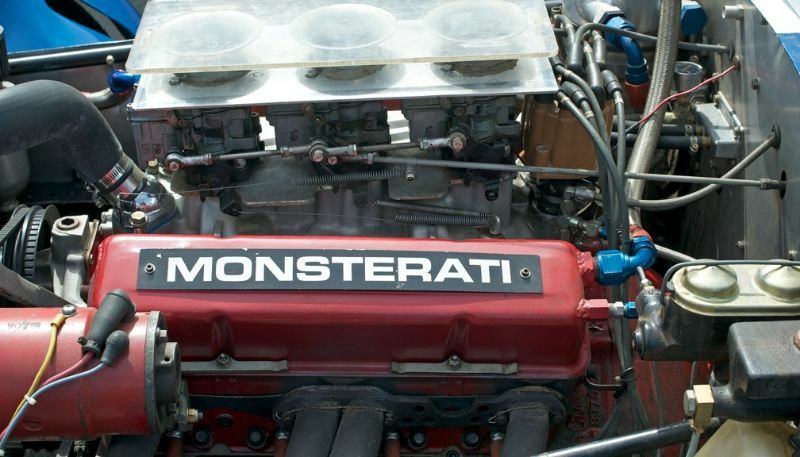 Harindra bought the car in 2008 and commissioned GMT Racing, Danbury, Connecticut to refurbish the car. 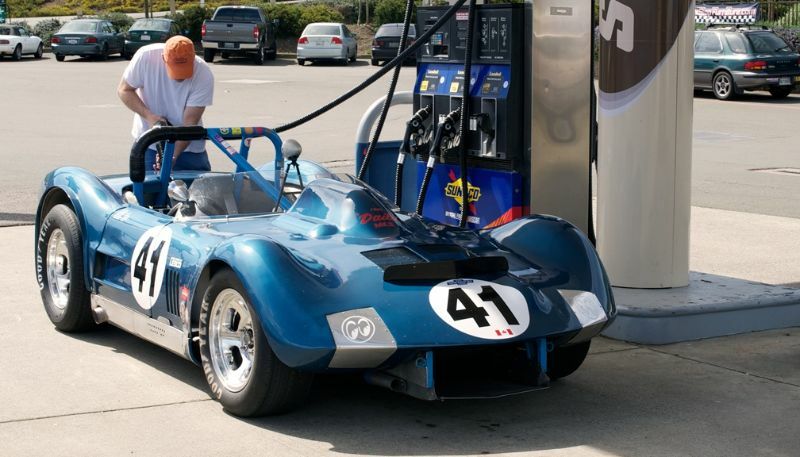 After campaigning the car on East Coast, Harindra recently moved the car to the West Coast. 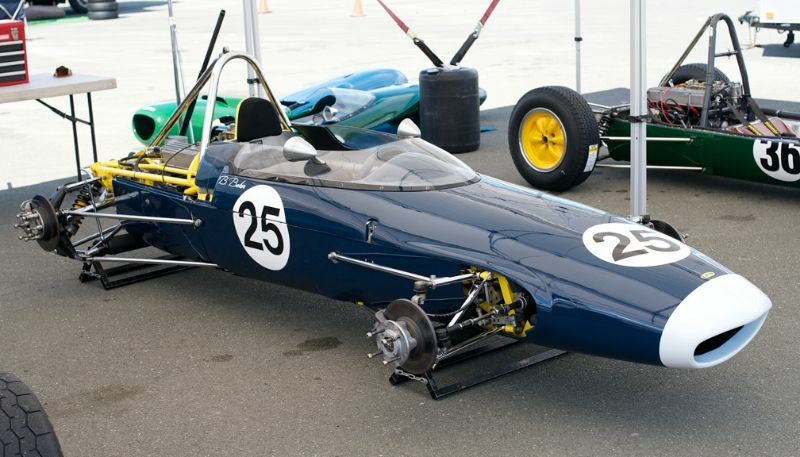 The Lotus is now maintained by Virtuoso Racing of Hayward, California.